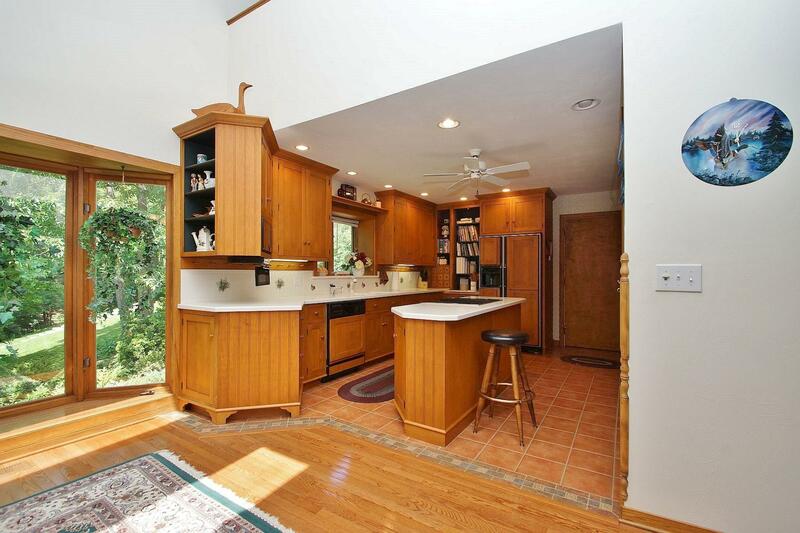 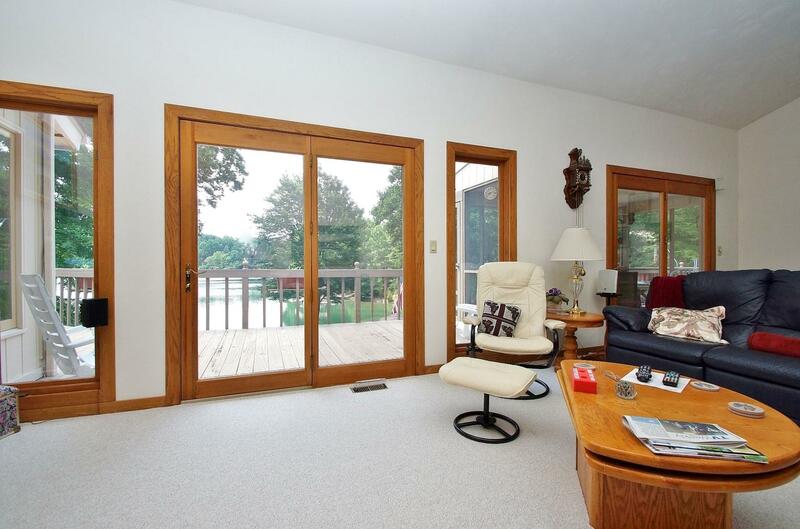 This lake home shows much younger then its originial build age. 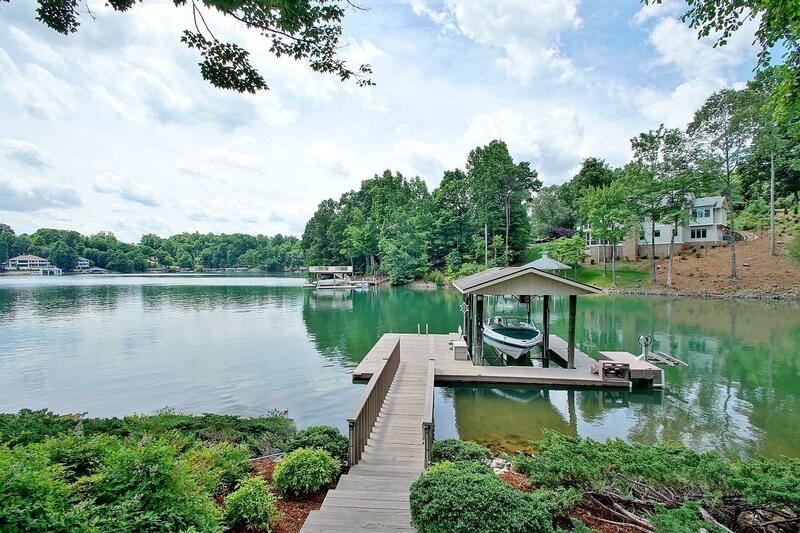 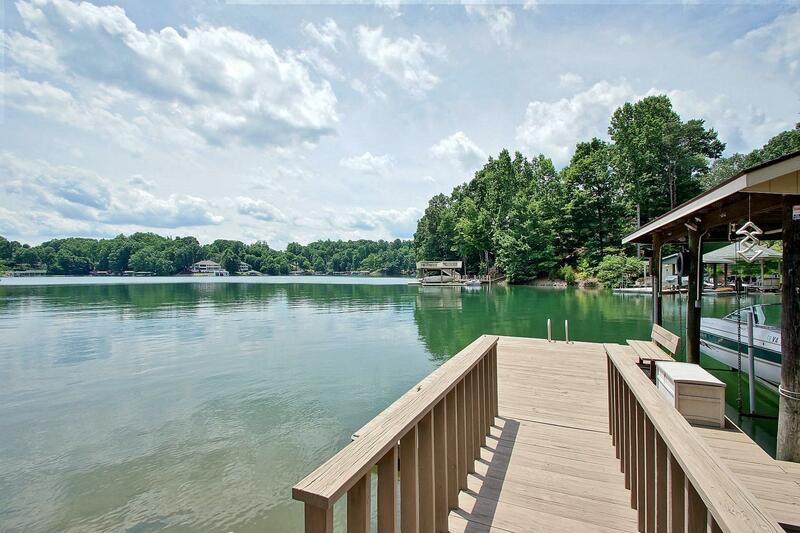 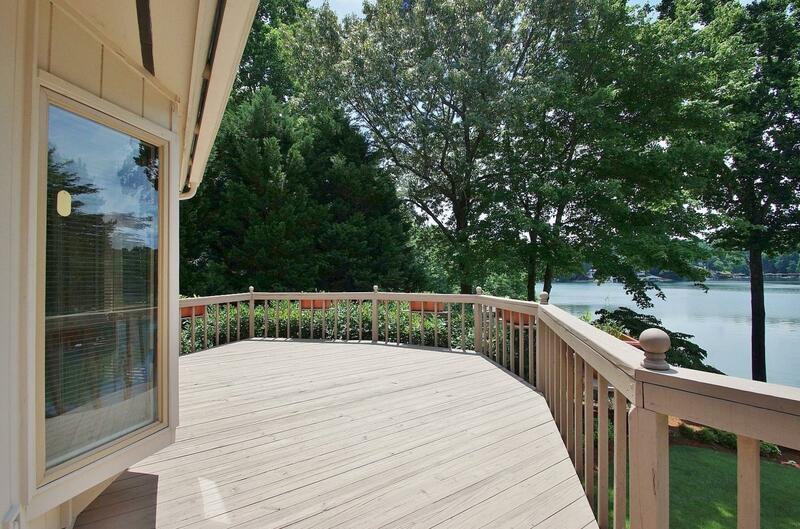 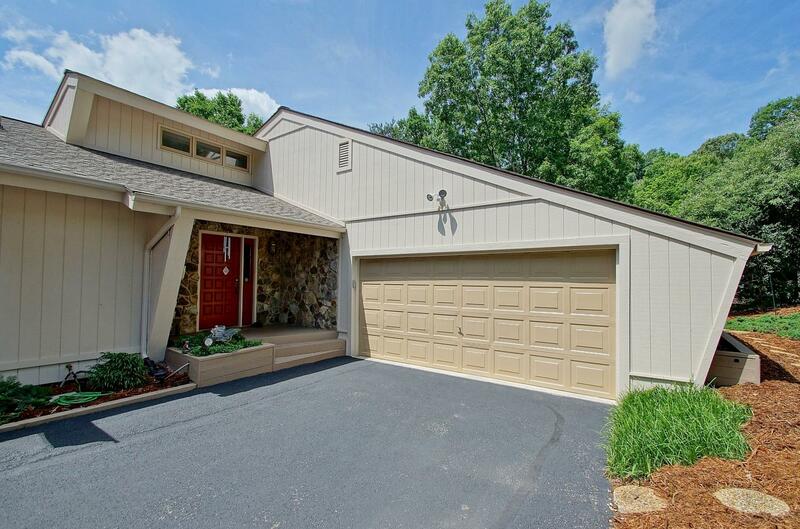 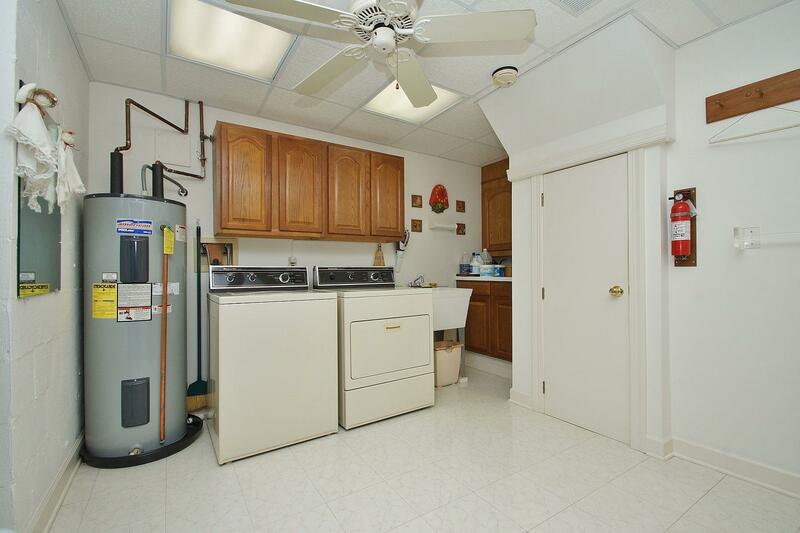 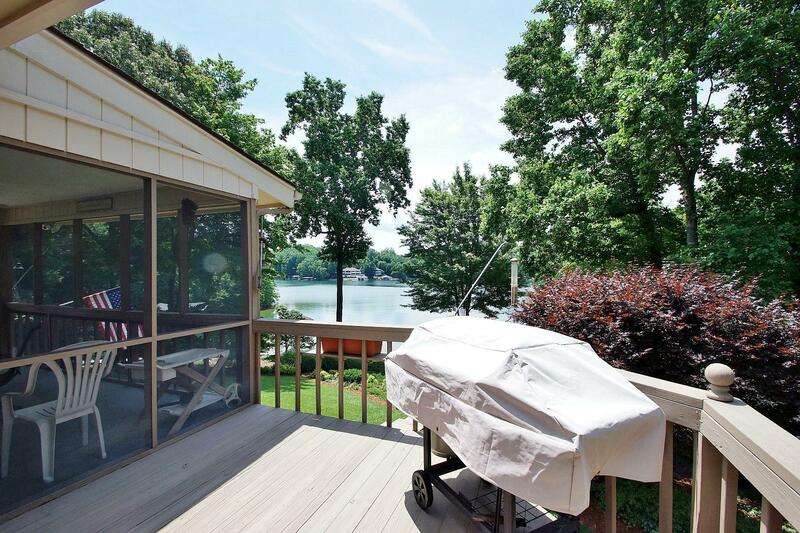 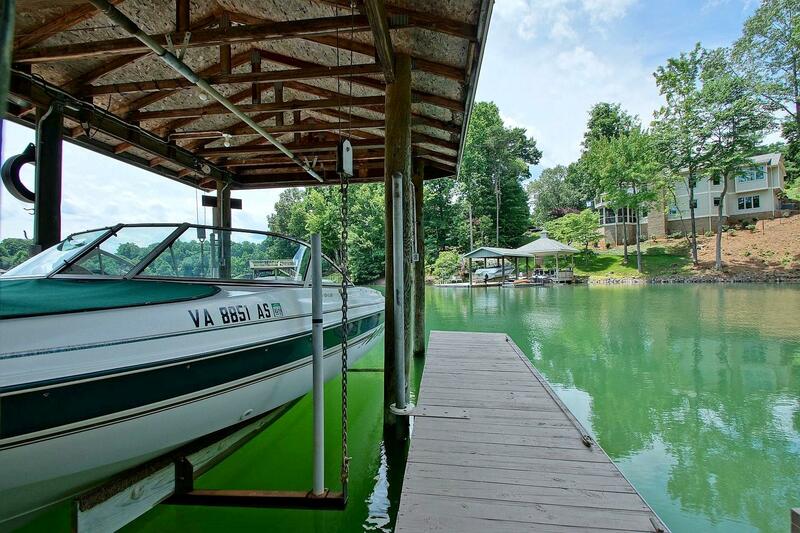 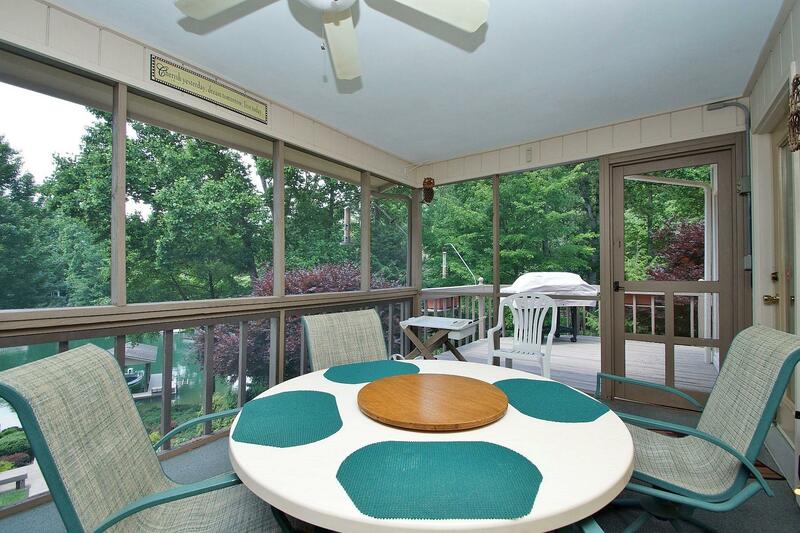 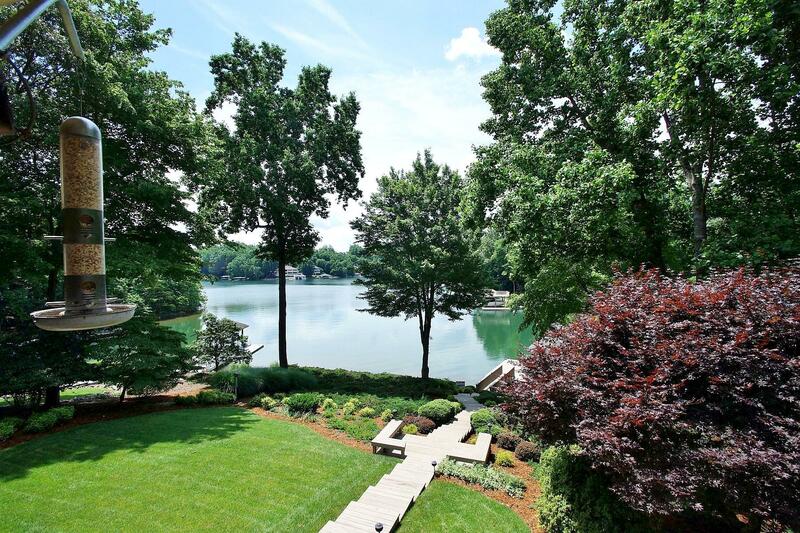 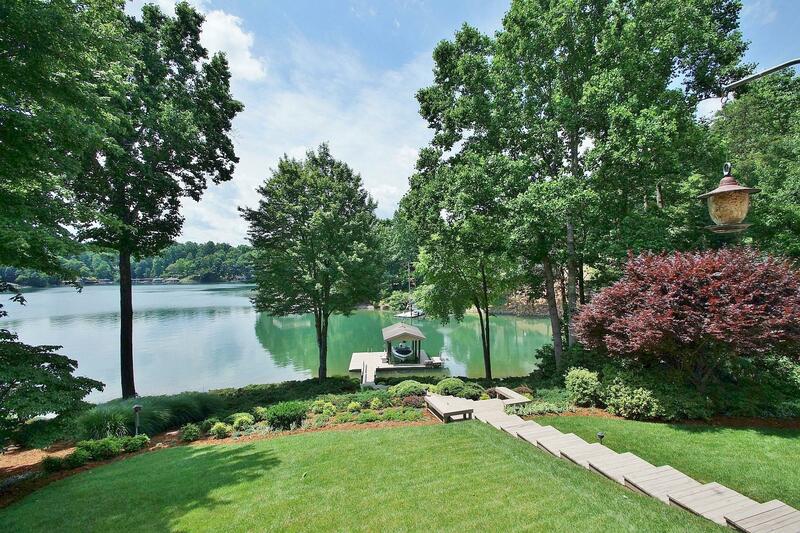 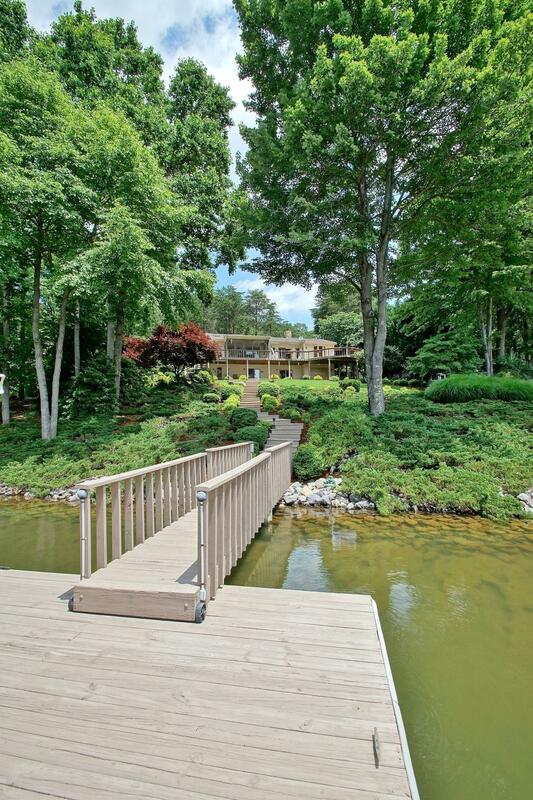 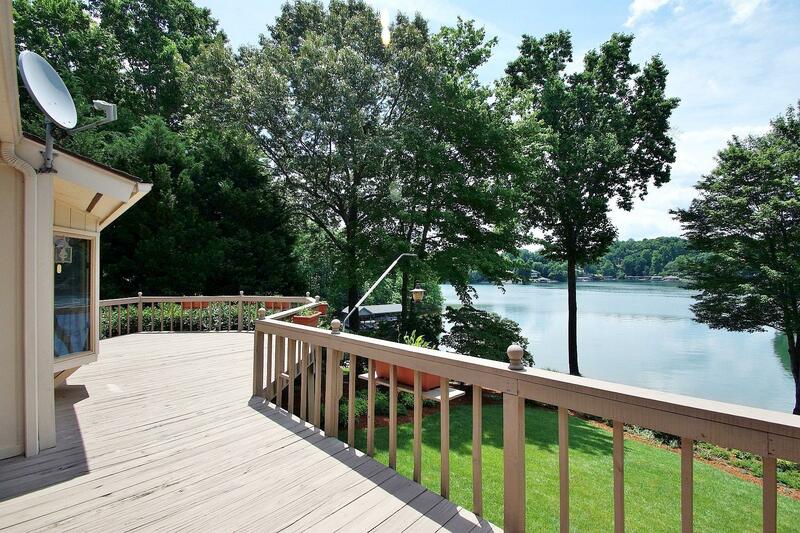 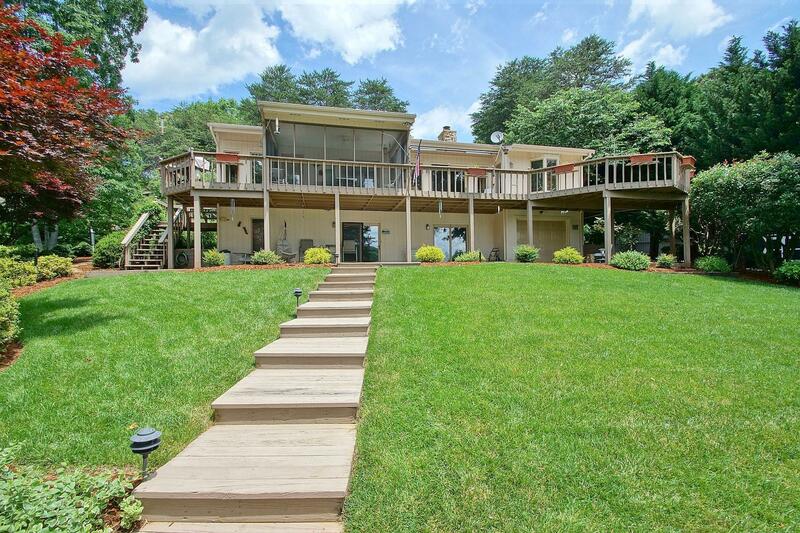 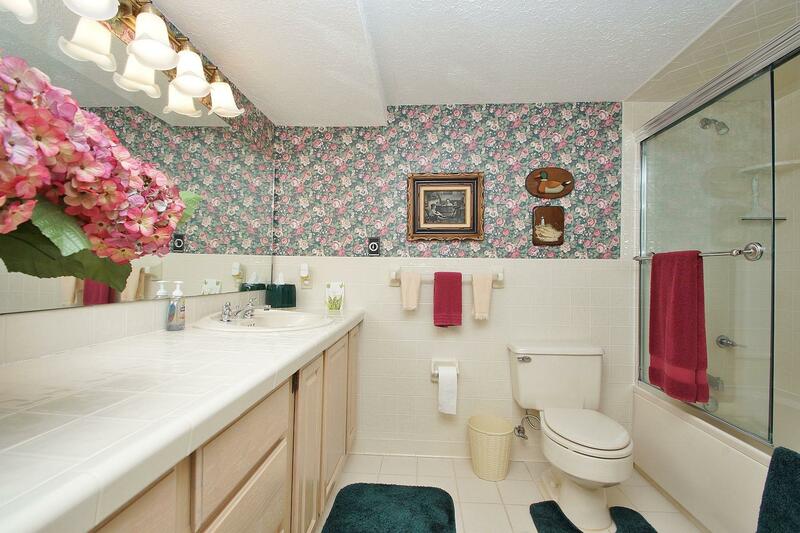 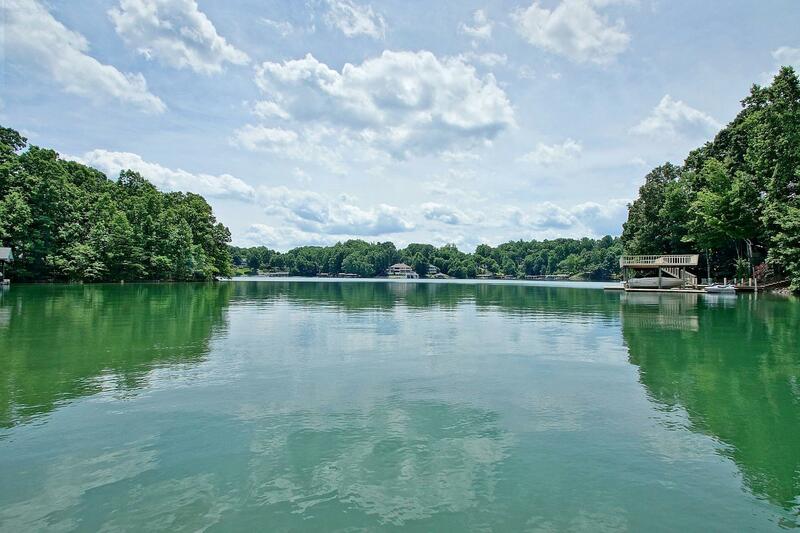 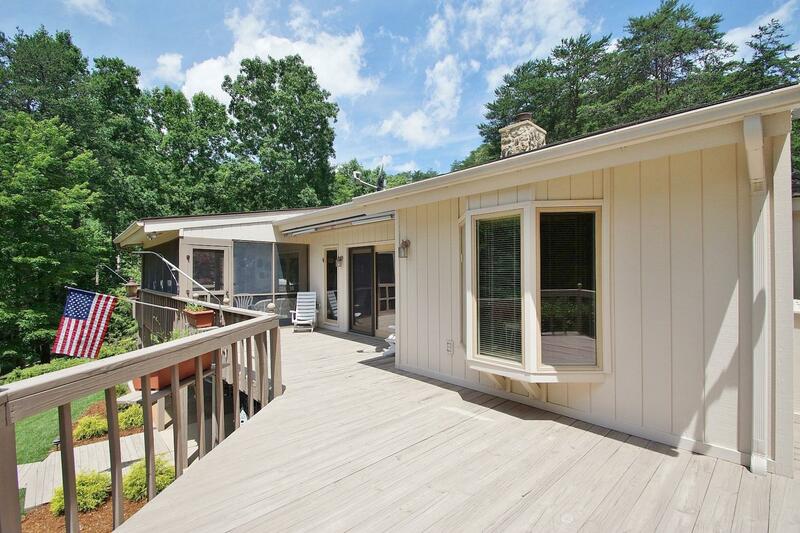 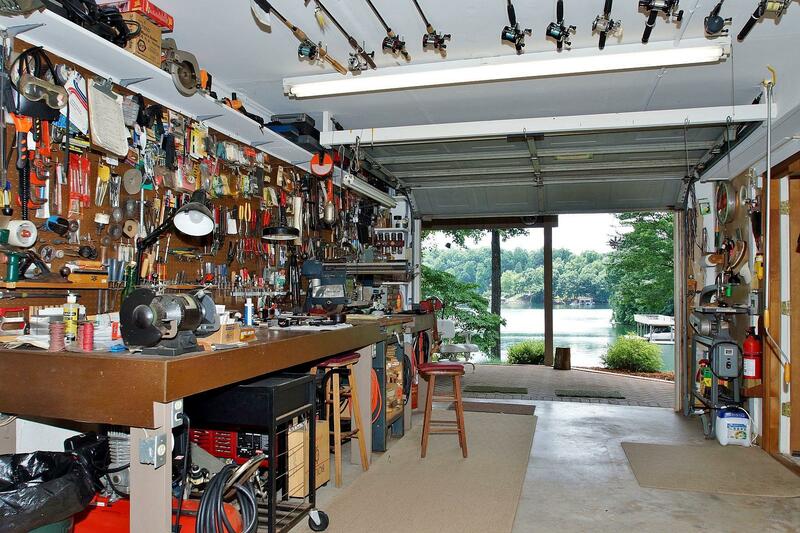 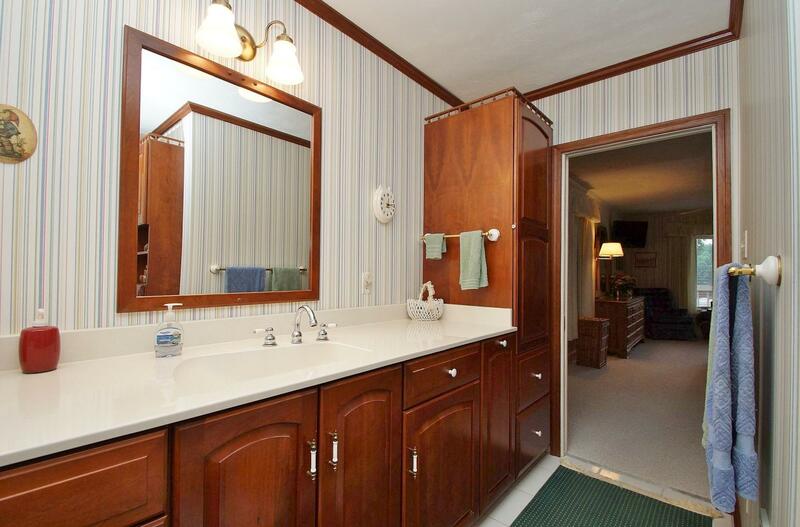 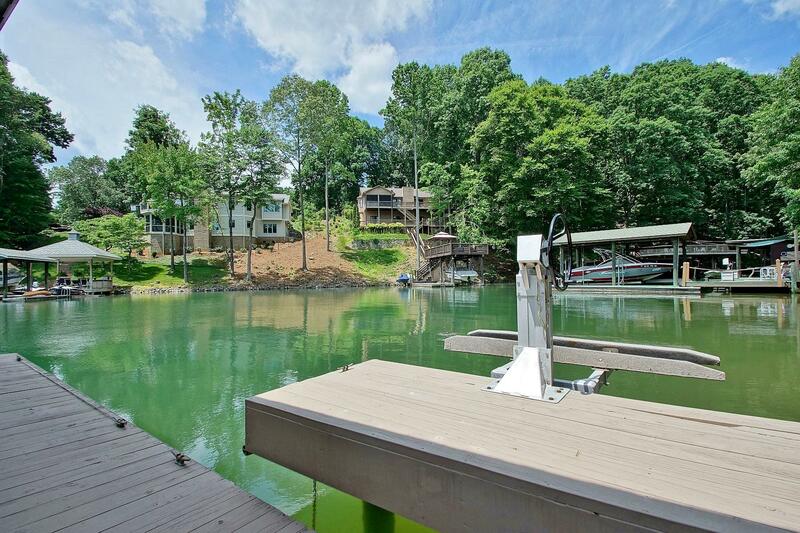 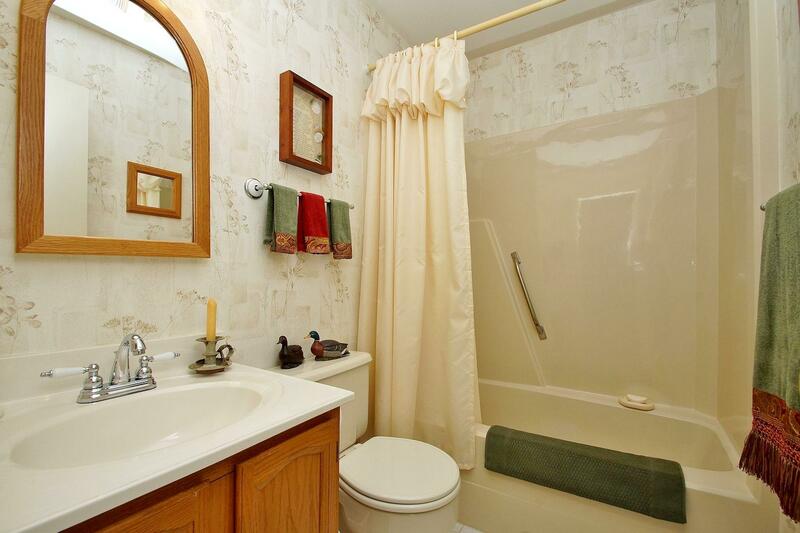 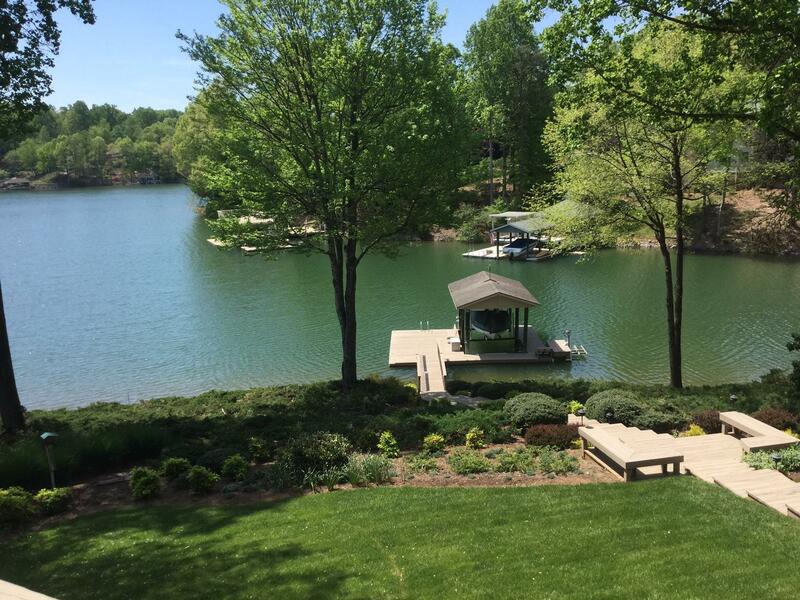 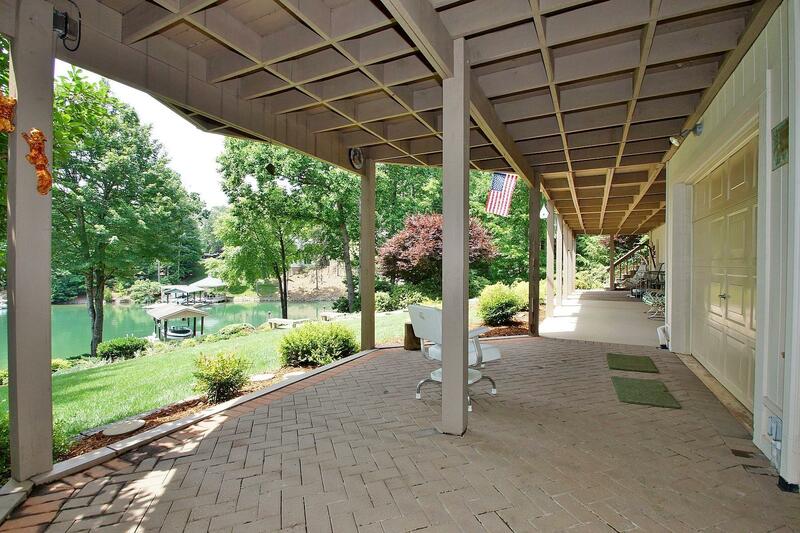 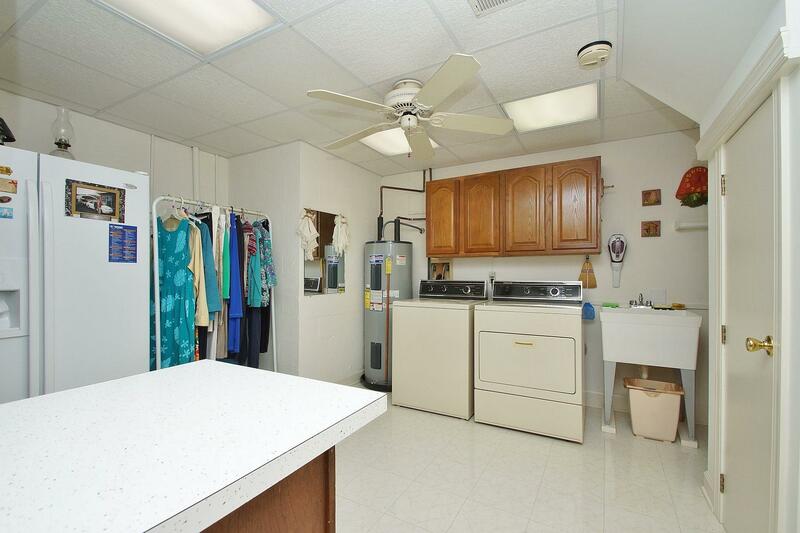 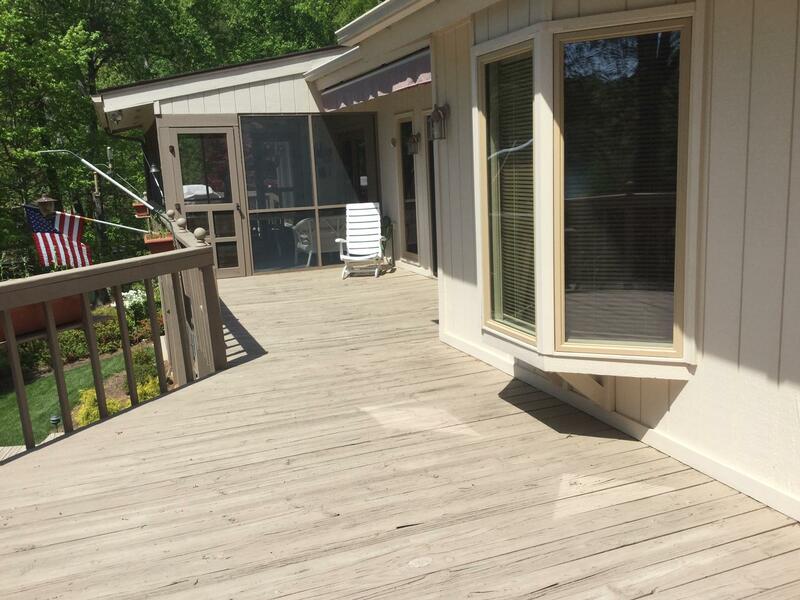 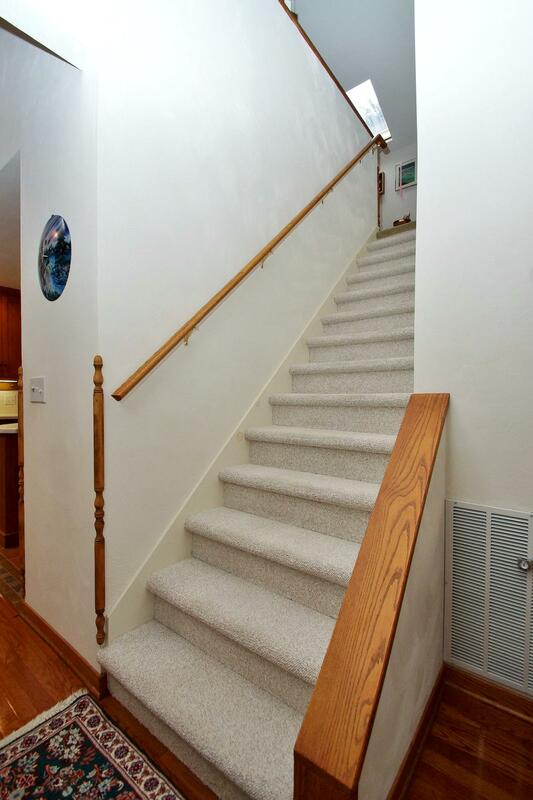 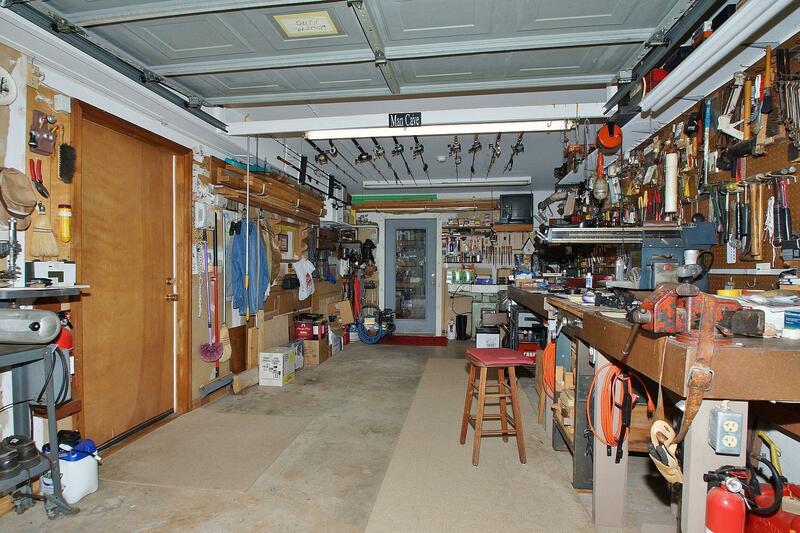 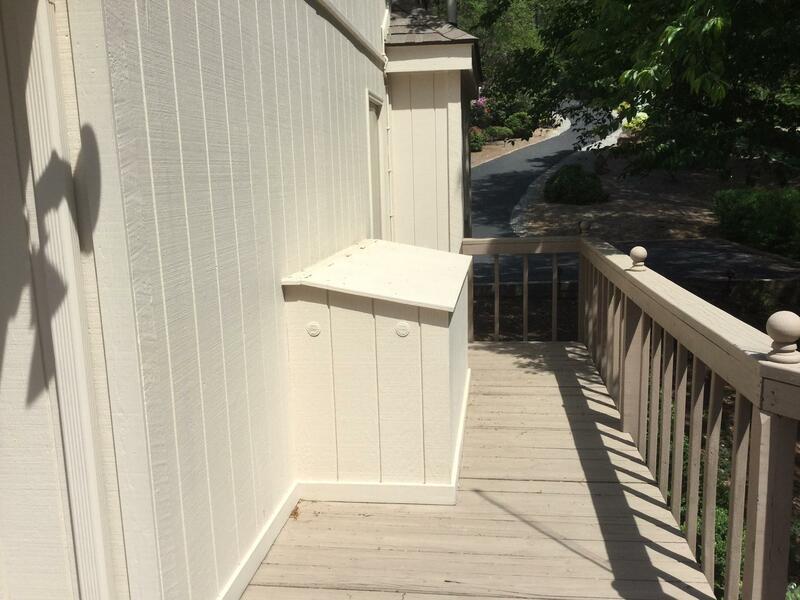 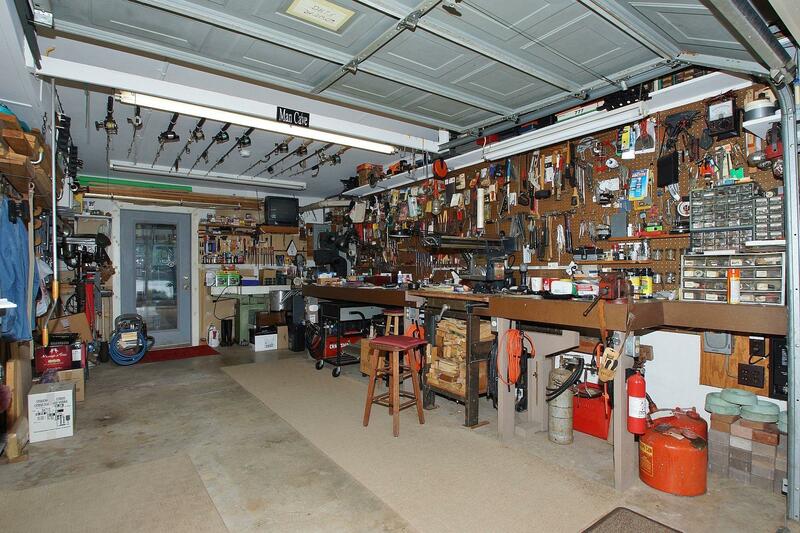 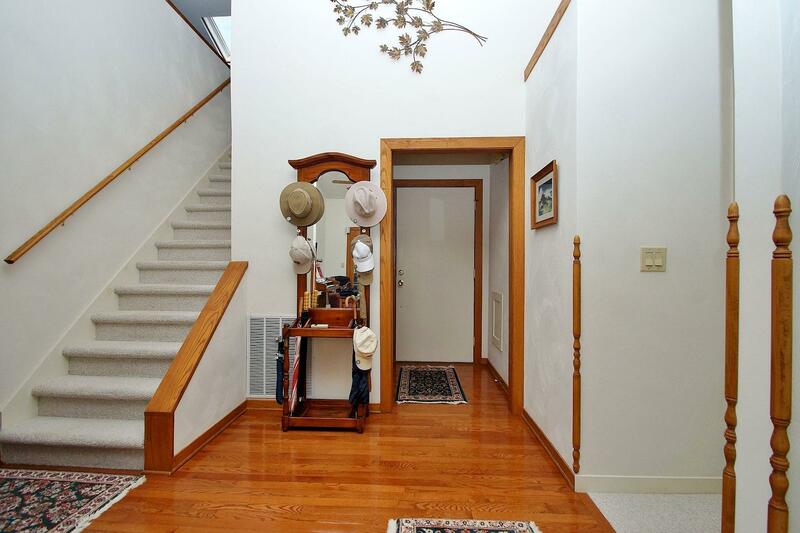 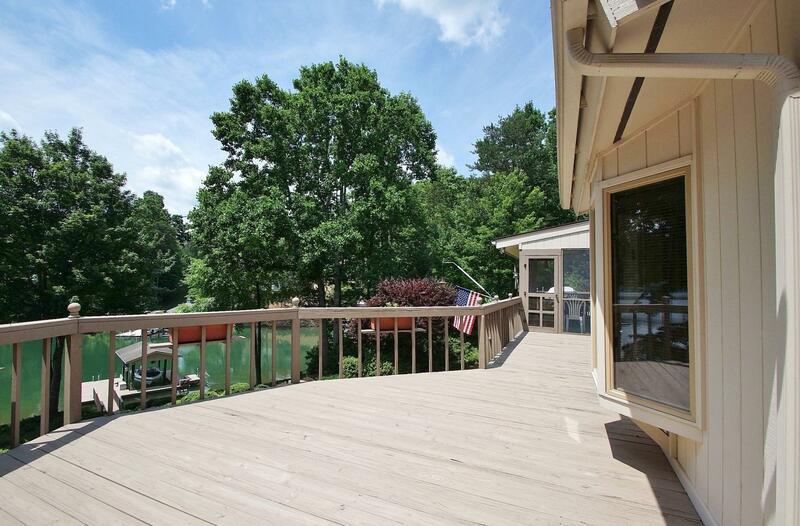 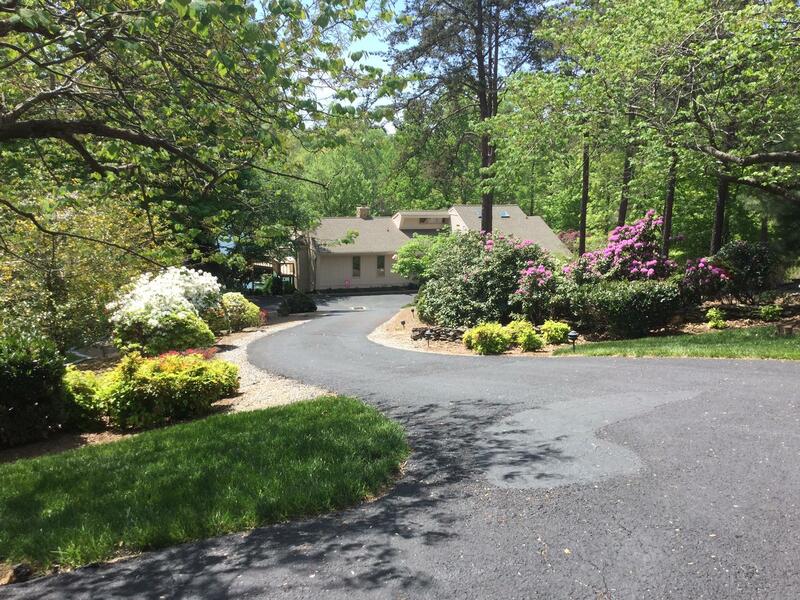 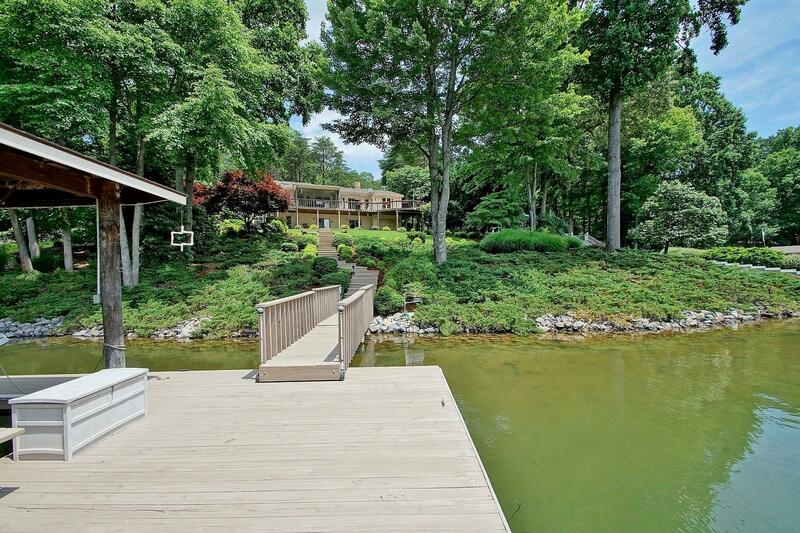 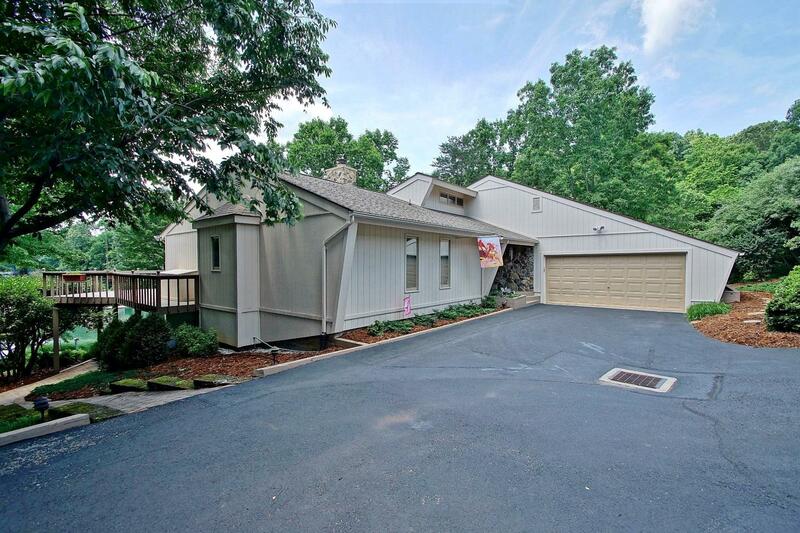 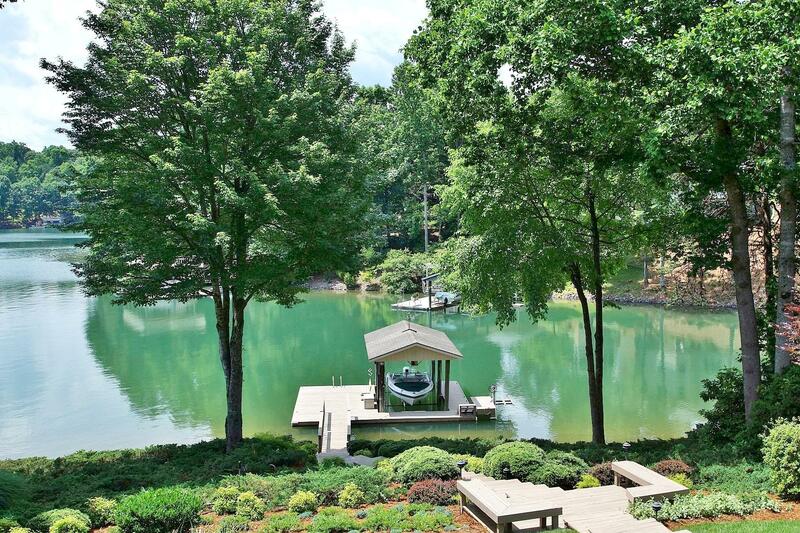 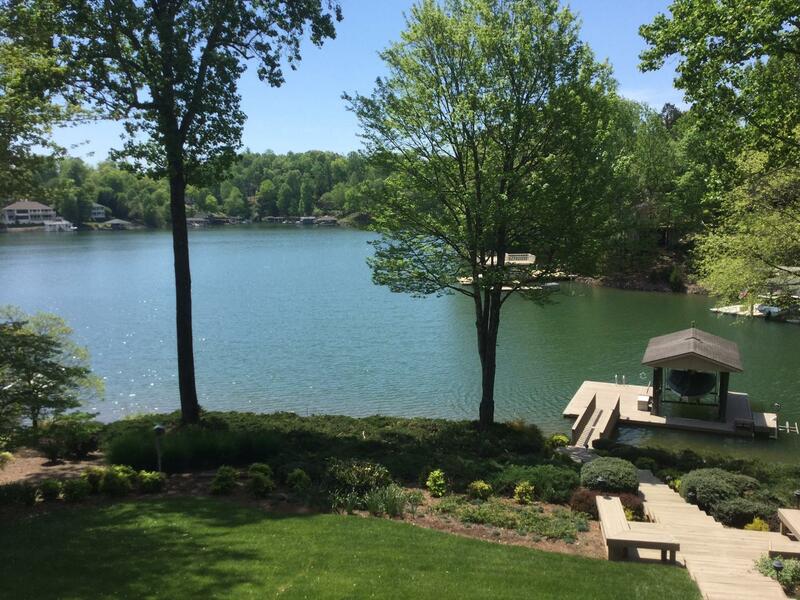 You must get inside to see how well this lake home has been maintained and updated. 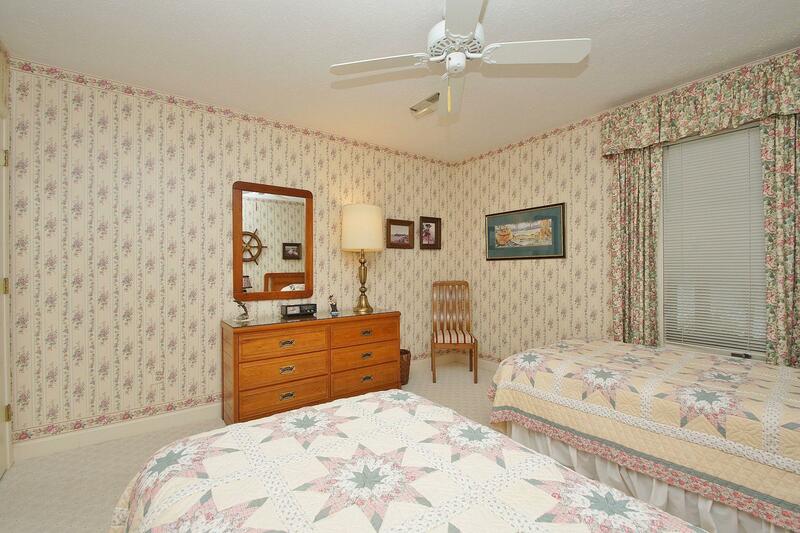 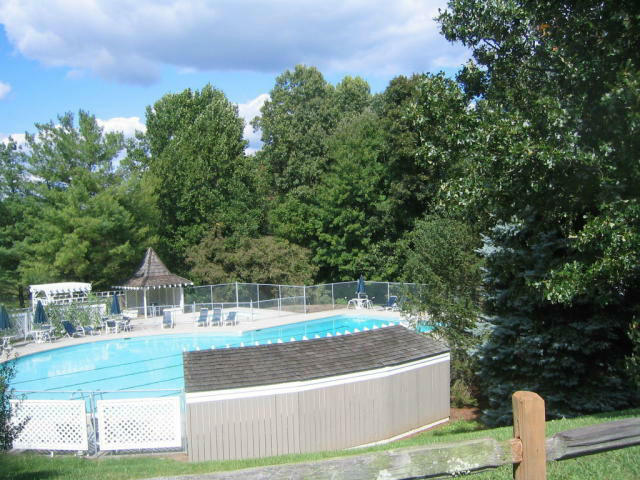 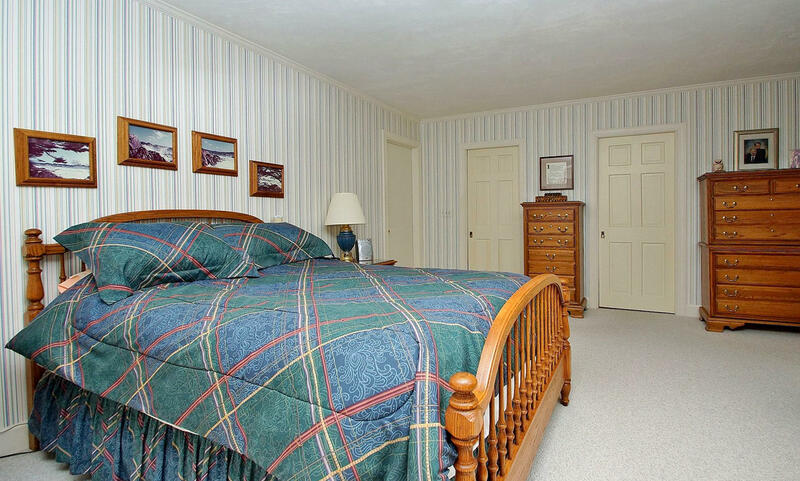 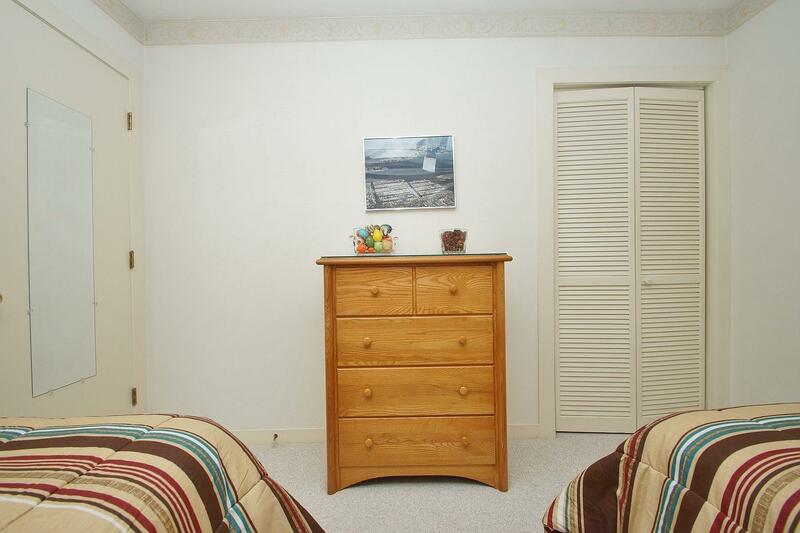 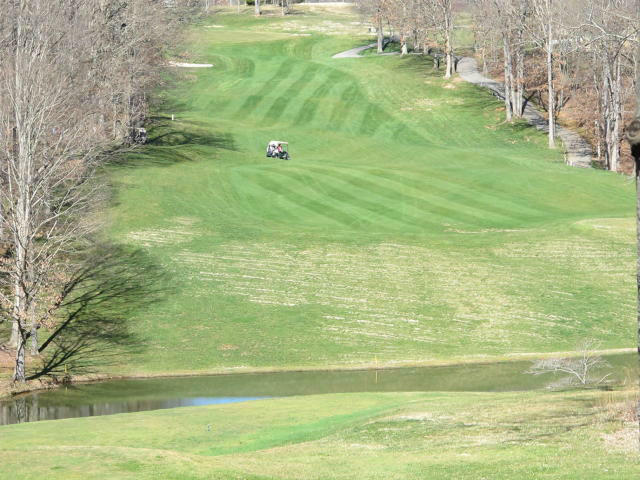 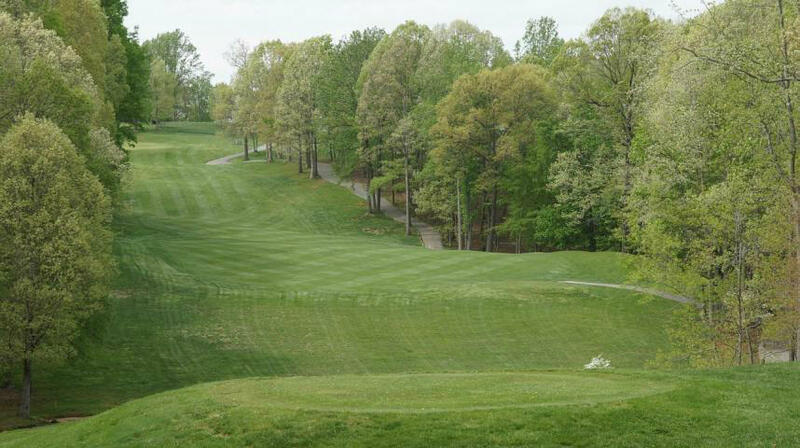 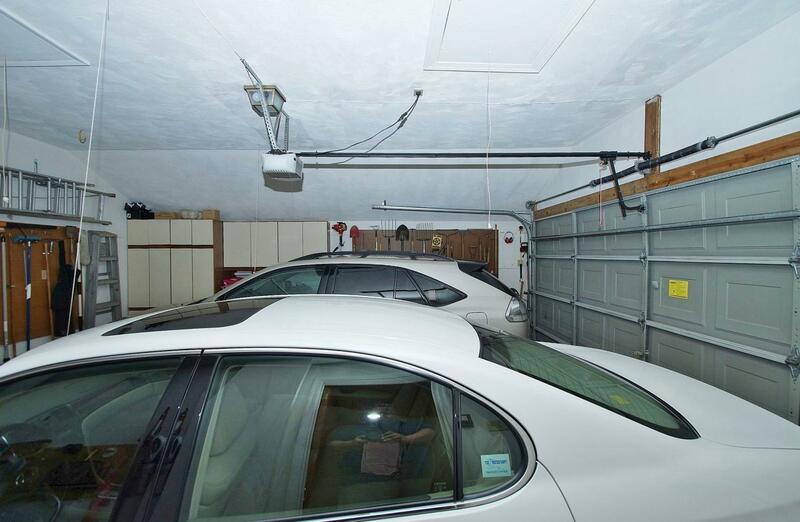 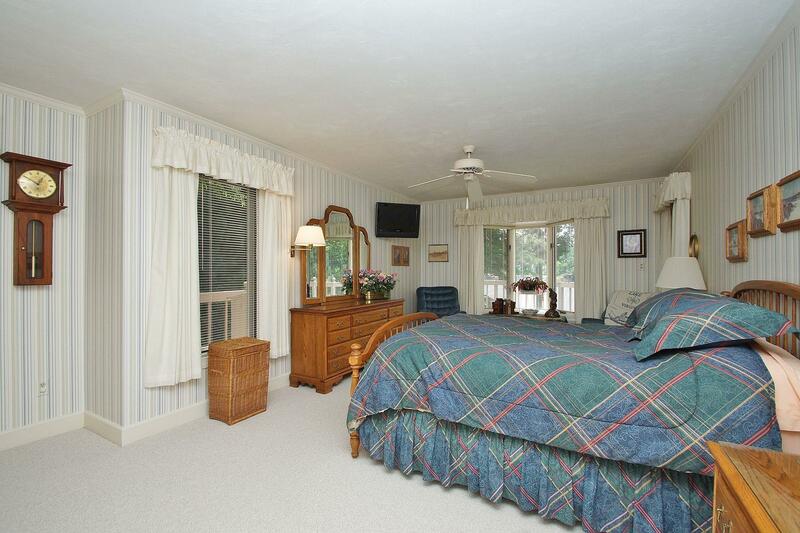 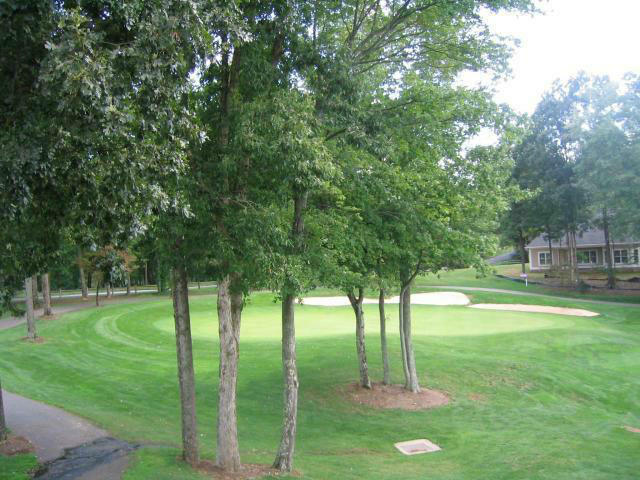 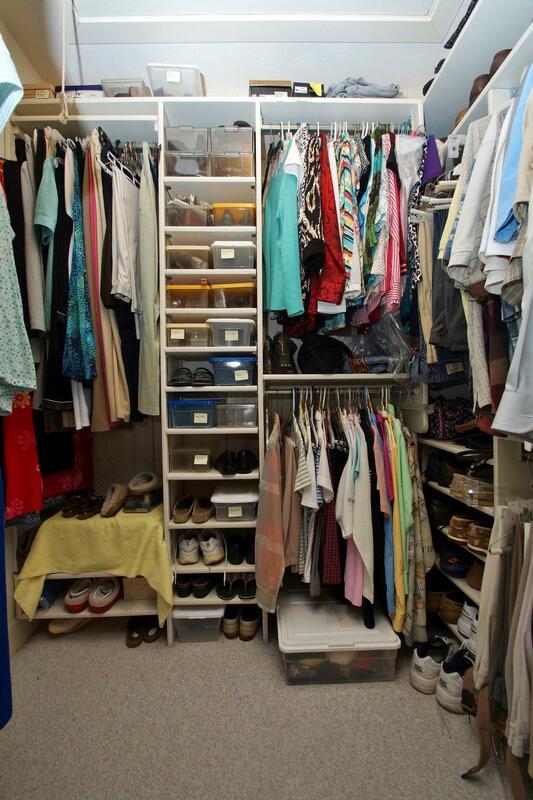 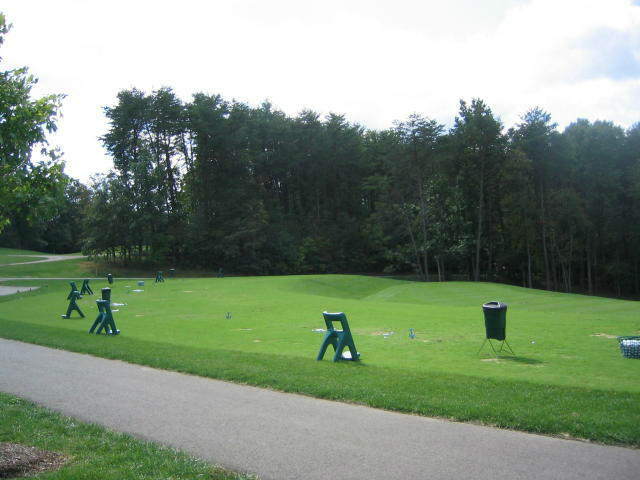 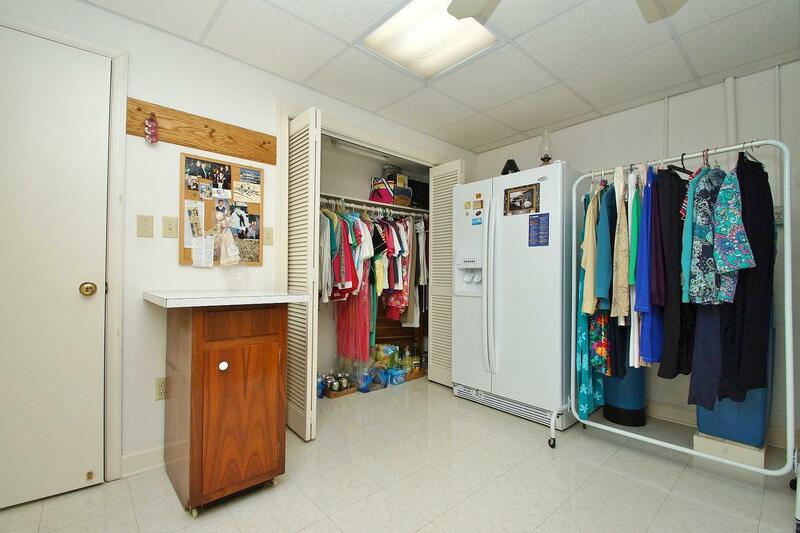 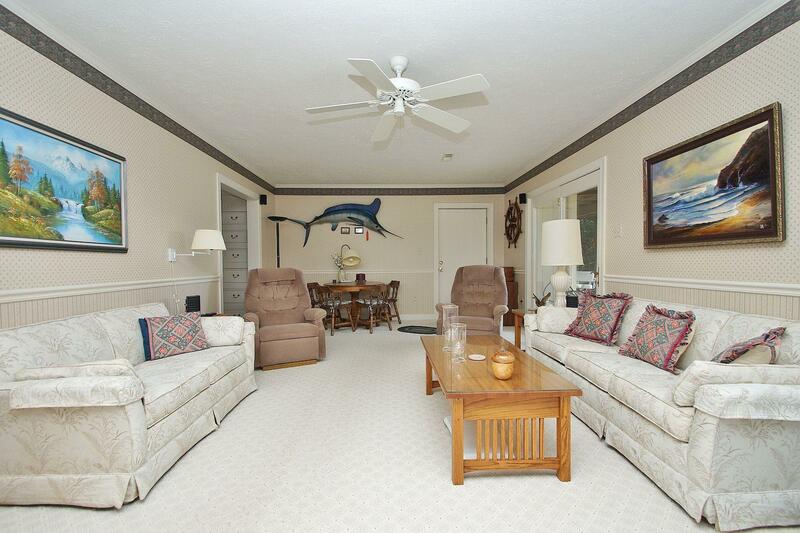 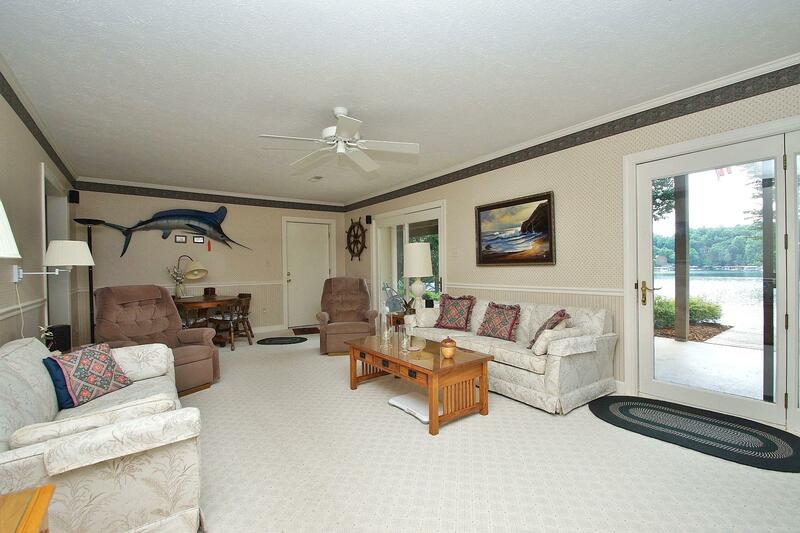 Located in The Waterfront Country Club offers the ability to join the club. 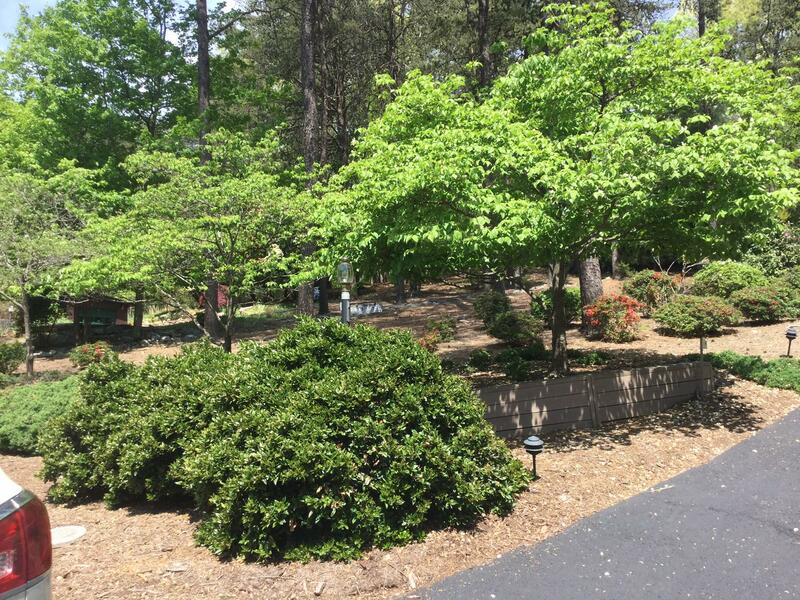 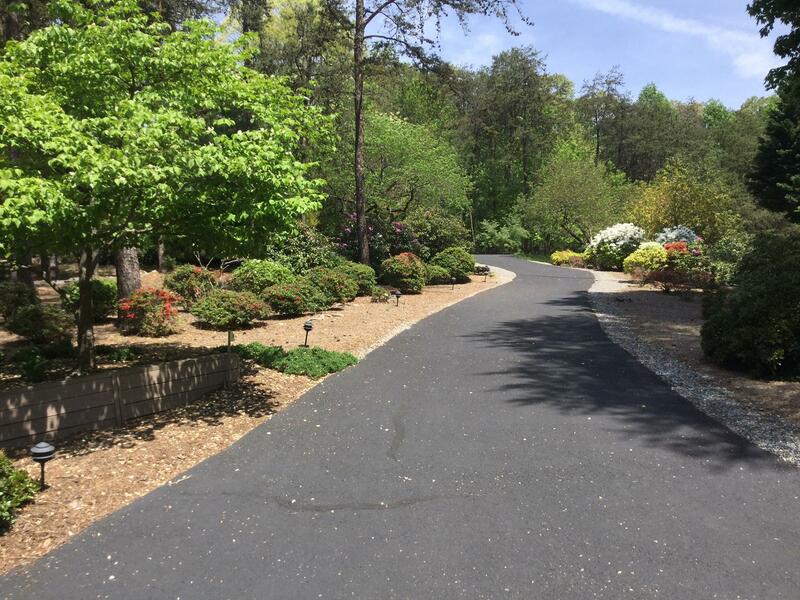 The private setting on a beautiful landscaped lot situated on .66 acre with 153 feet of waterfront with a boat dock is waiting for the next family to come and start enjoying the lake. 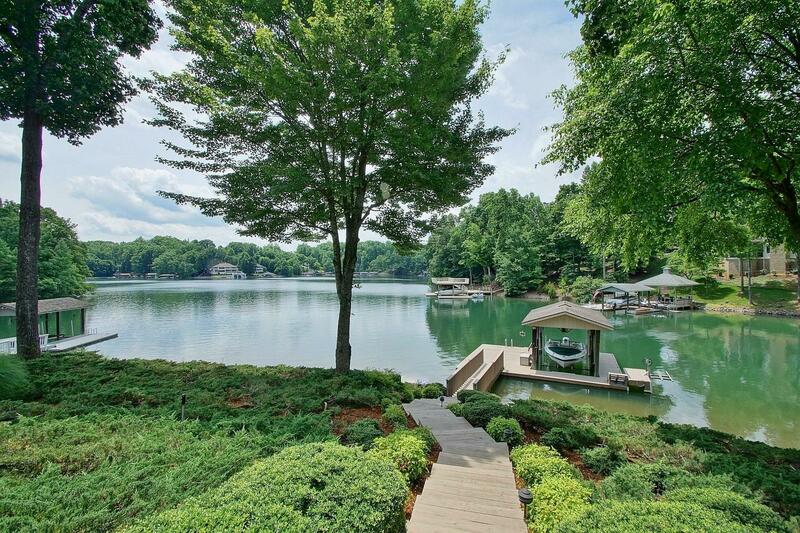 Location, location, location.Spacious lakefront home is situated on a gorgeous rolling gentle lake lot that has been professionally manicured & maintained. 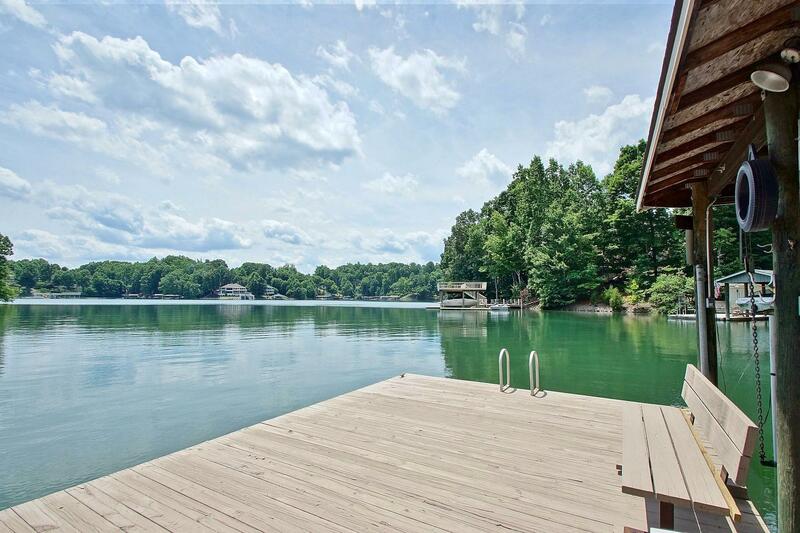 The dock adorns a clean, deep private large cove that is great for swimming, fishing, kayaking or just plain old relaxing. 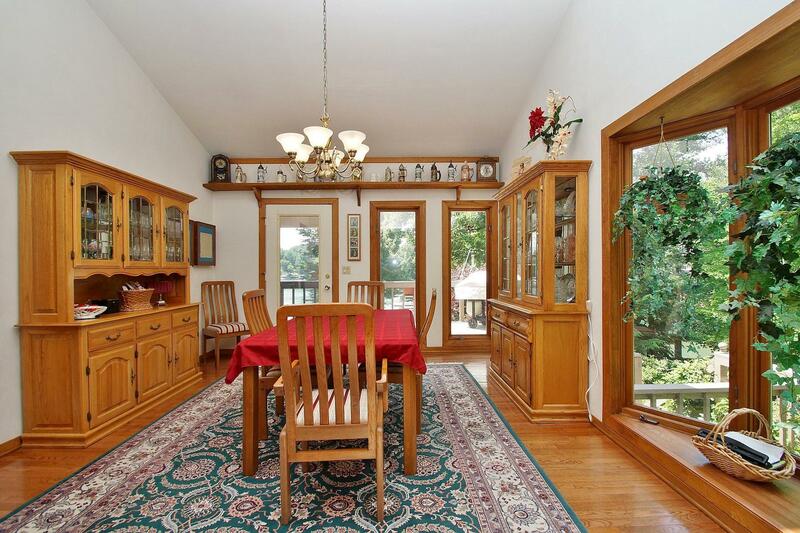 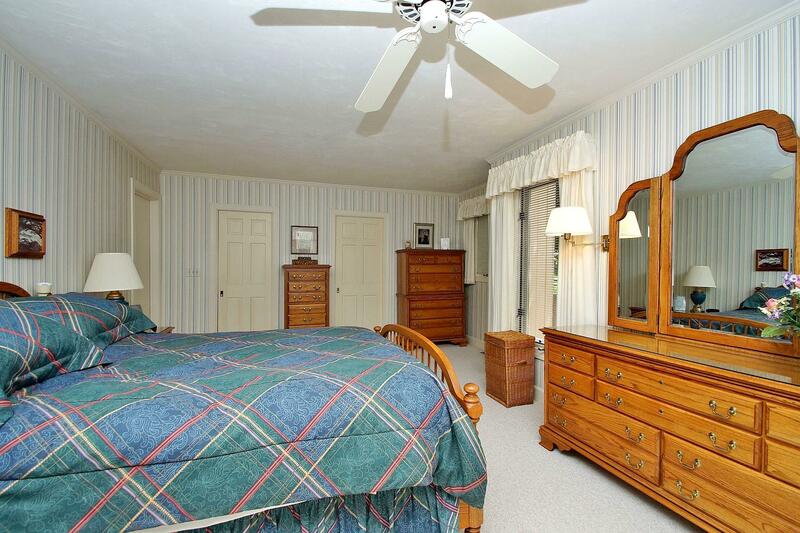 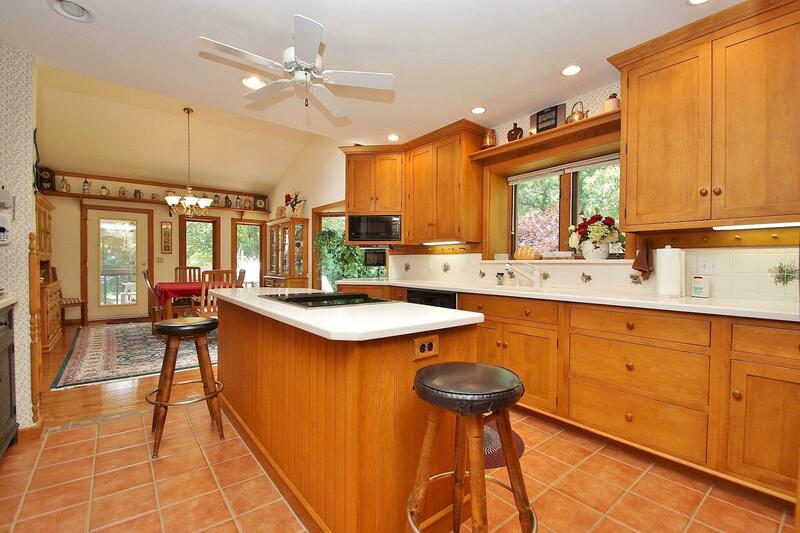 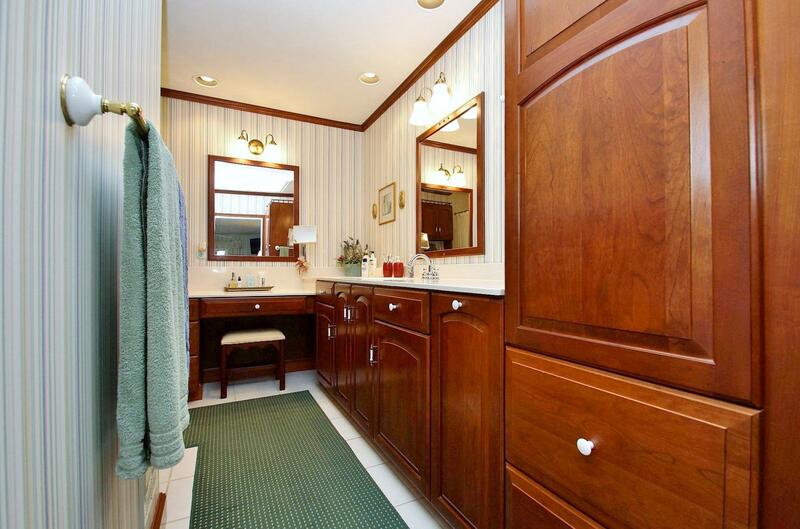 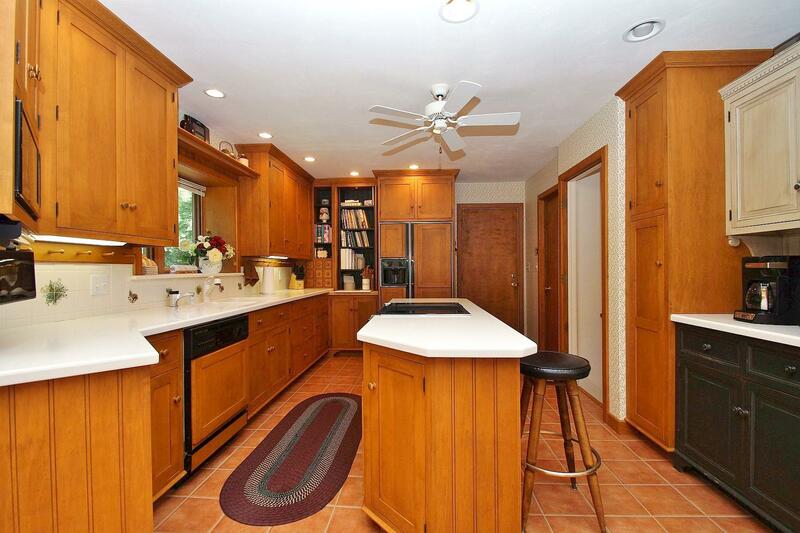 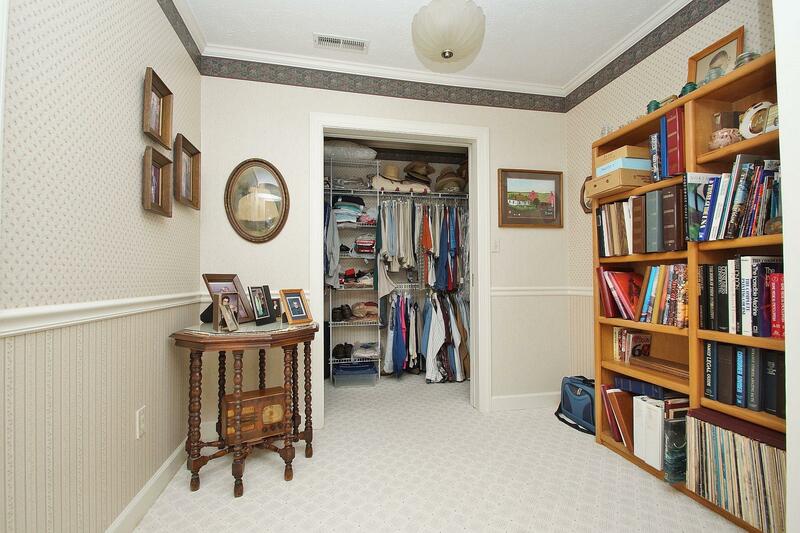 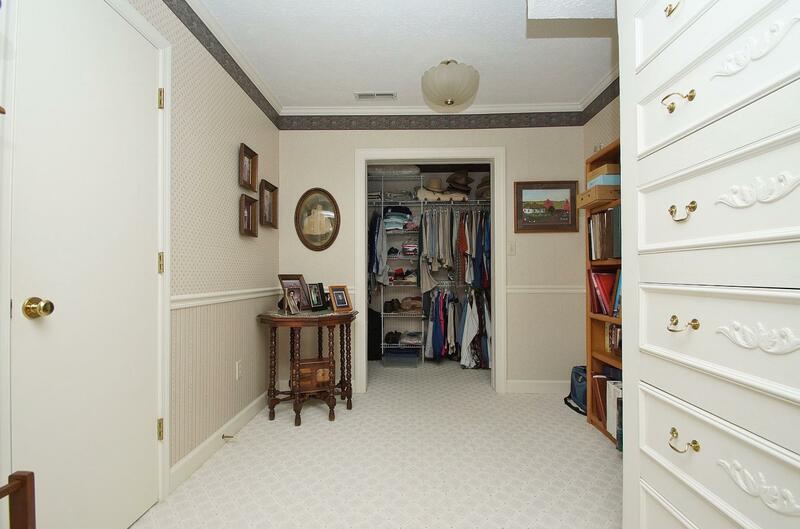 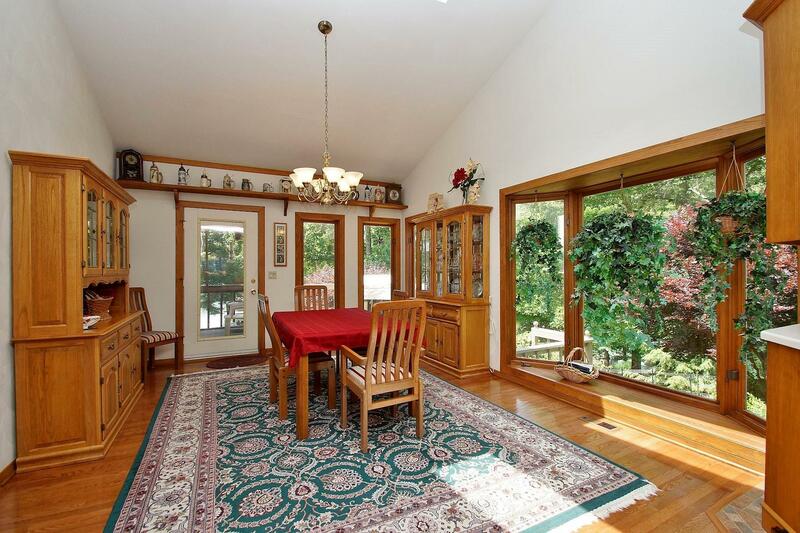 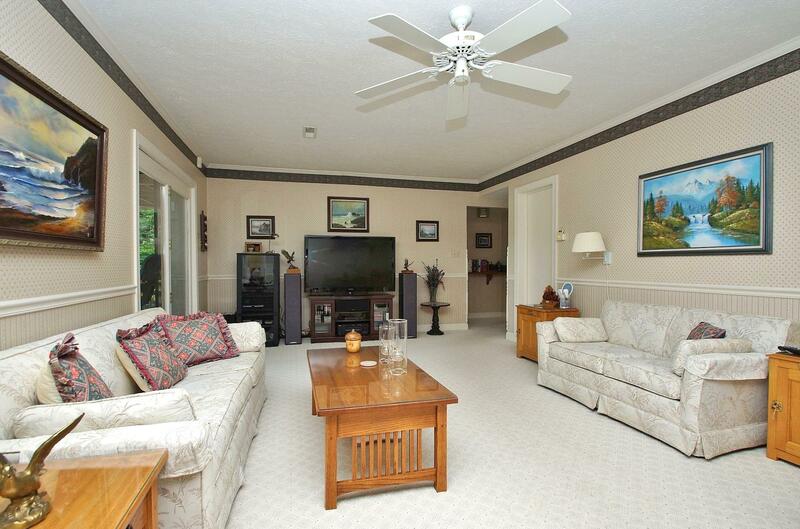 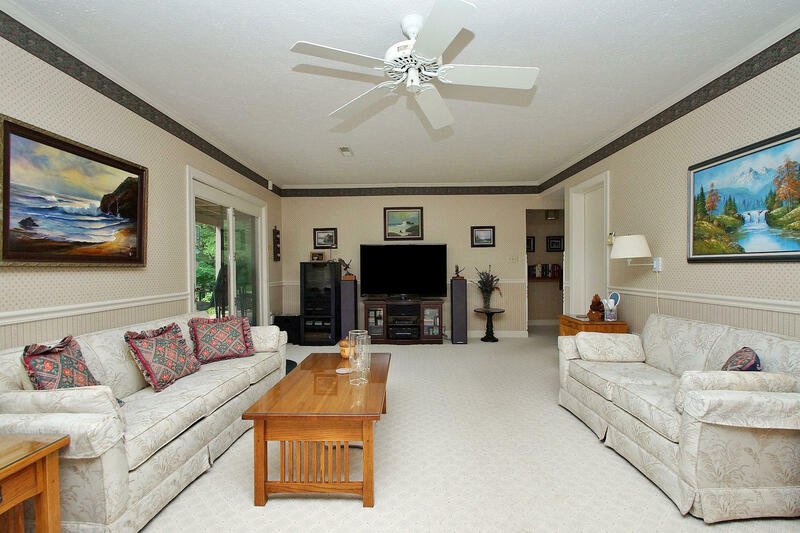 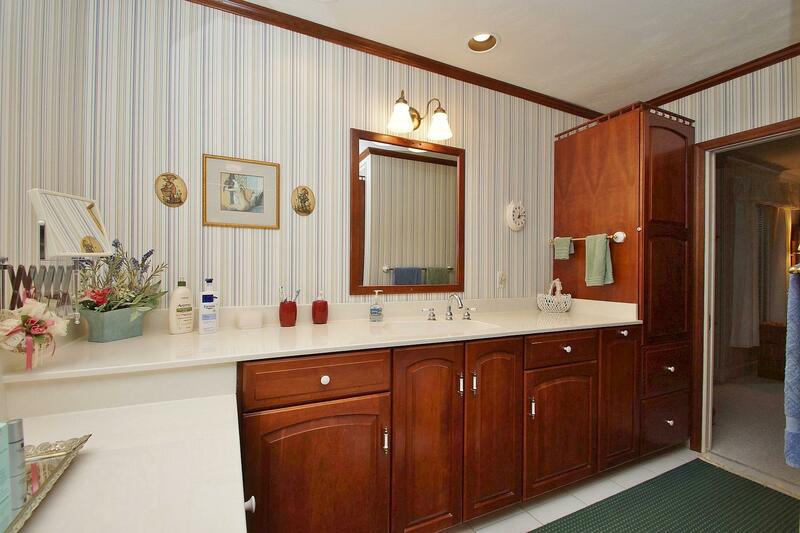 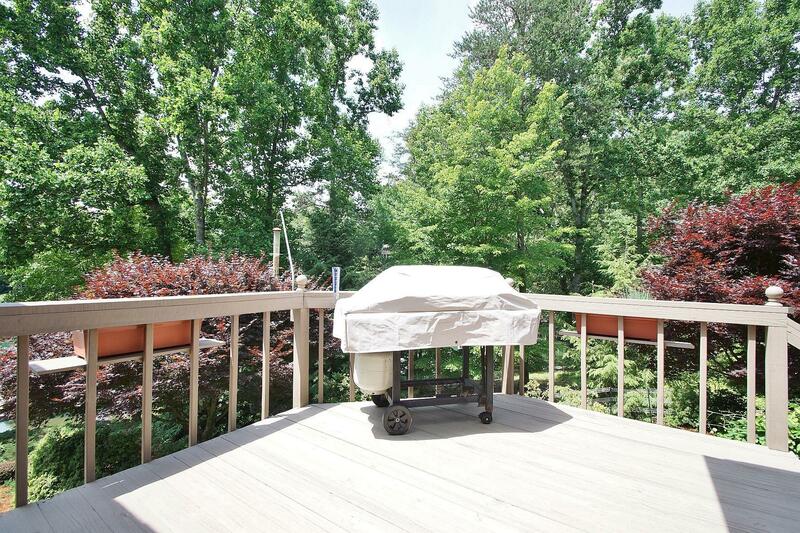 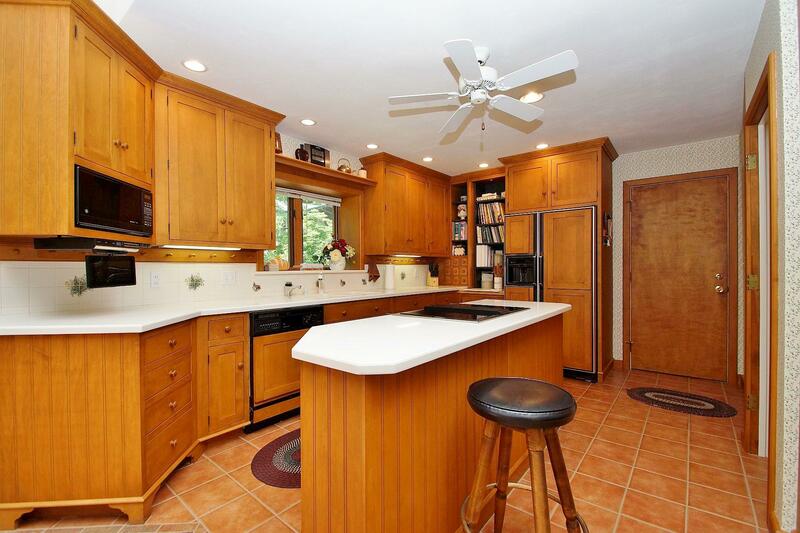 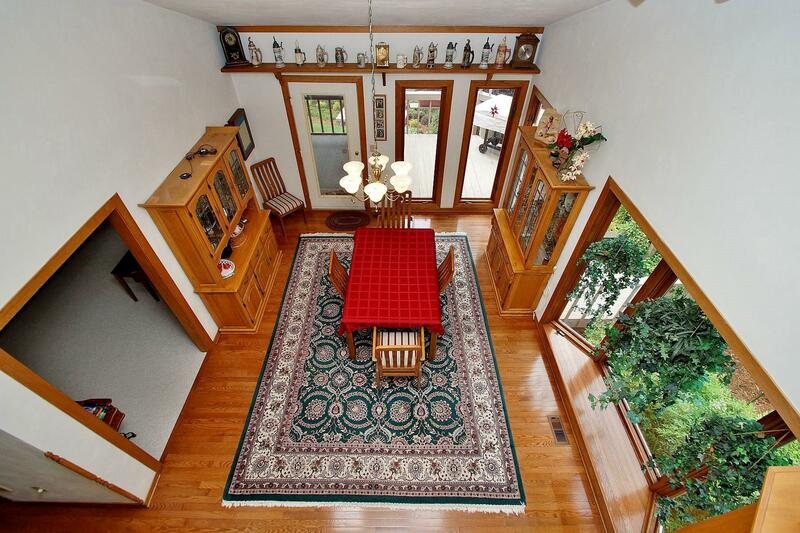 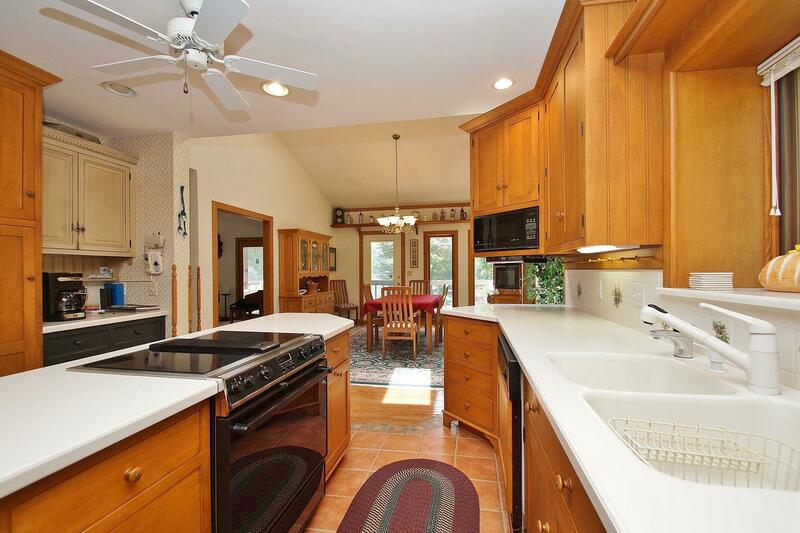 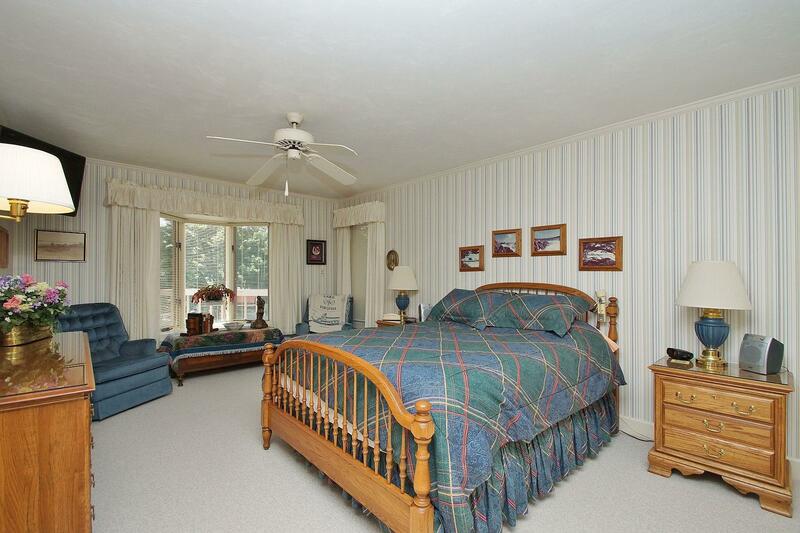 And, one of the best parts... this home is located in the coveted Waterfront Country Club community. 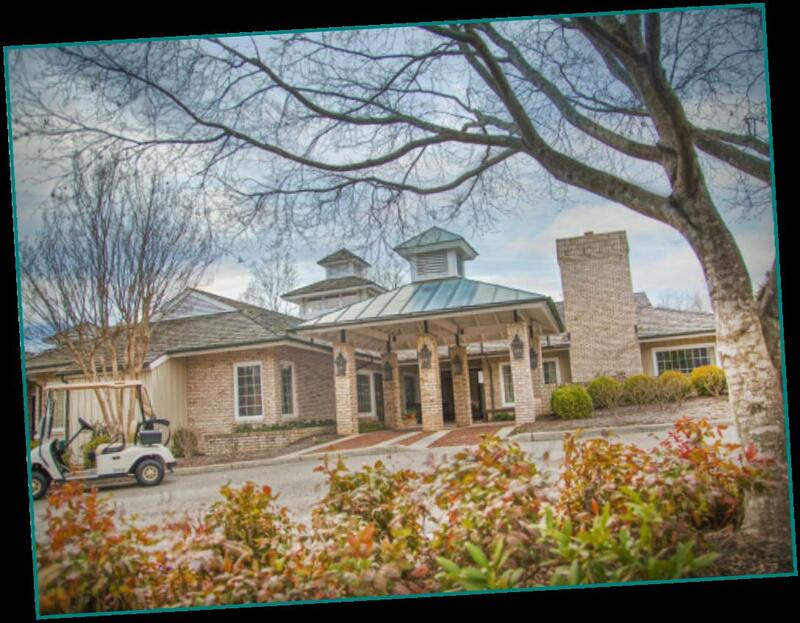 Golf & amenities are at your fingertips. 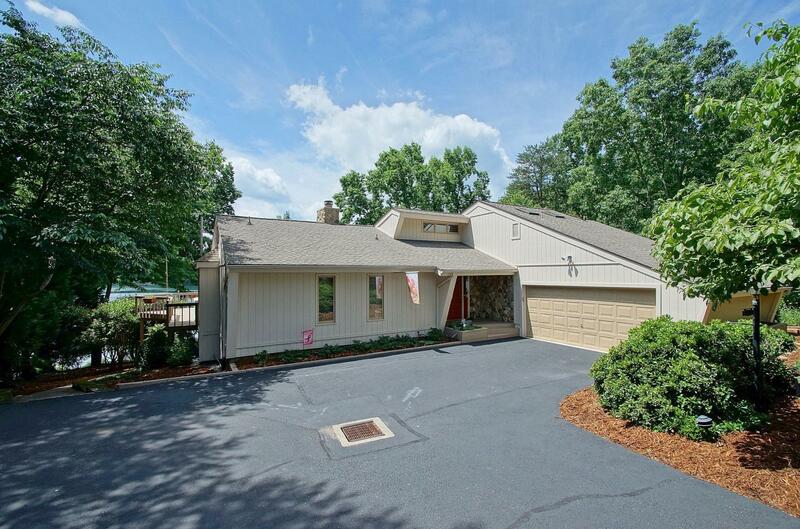 This home boasts, hardwood floors, custom built maple cabinets, oak trim throughout the entry level, a central vac, security system & too many other upgrades to list. 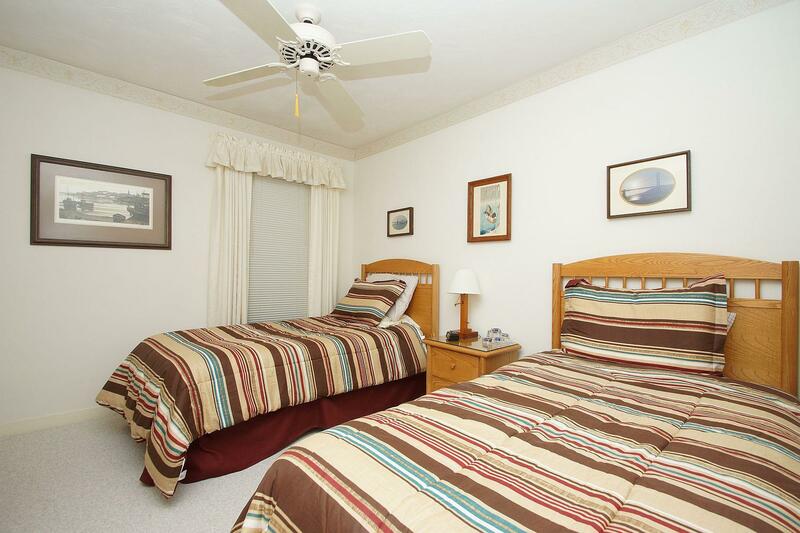 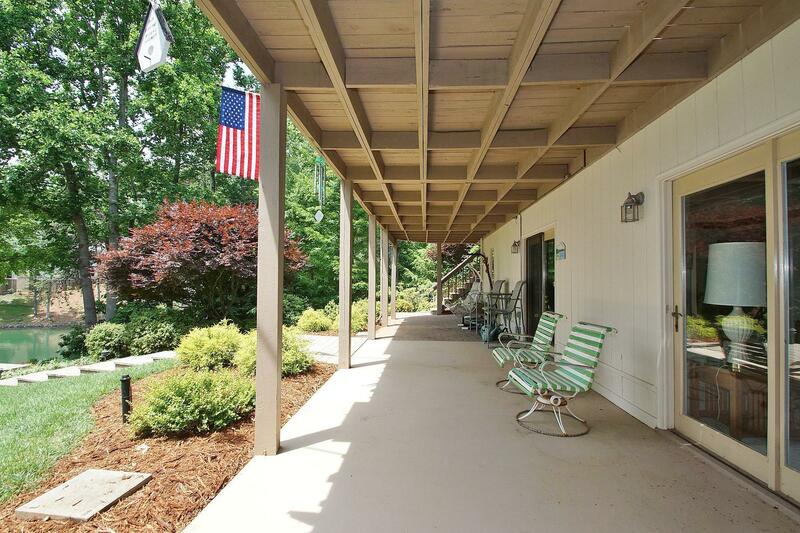 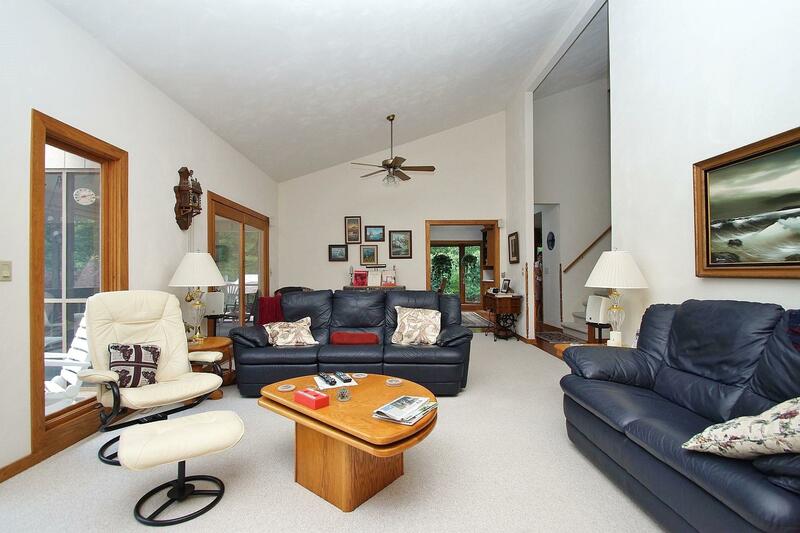 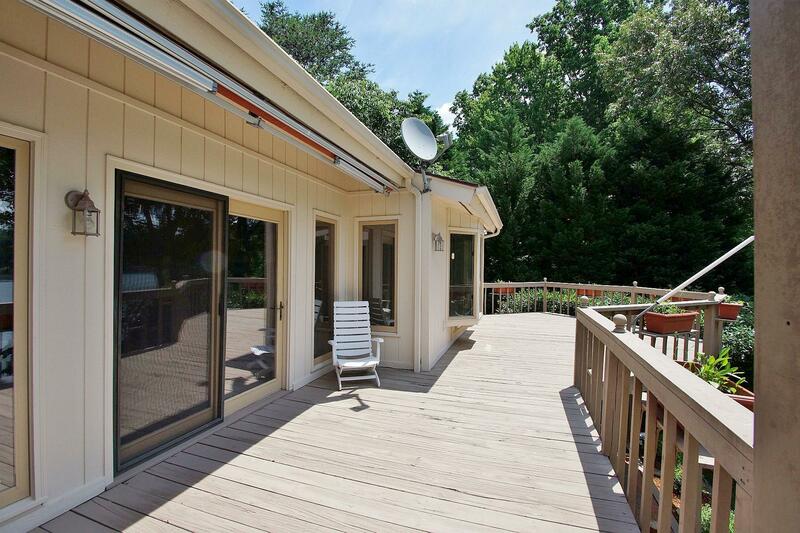 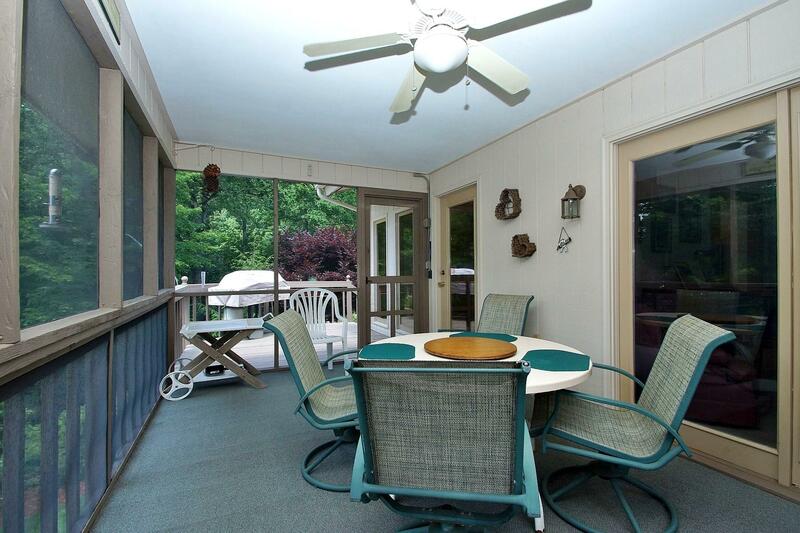 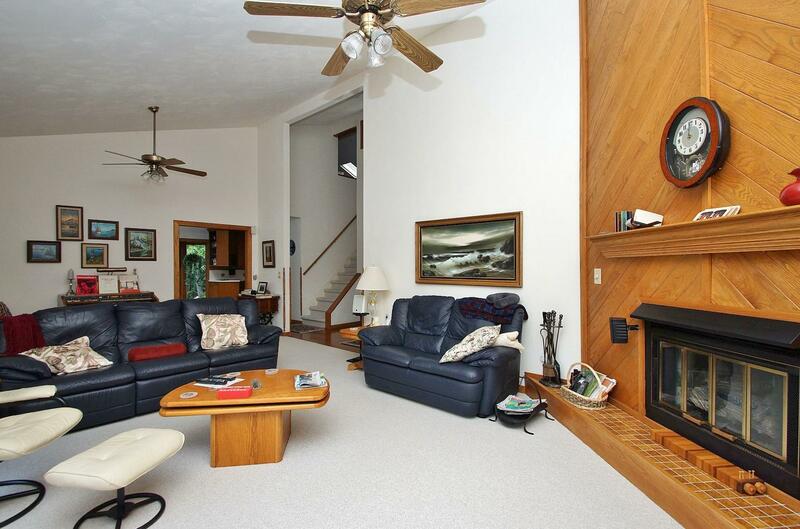 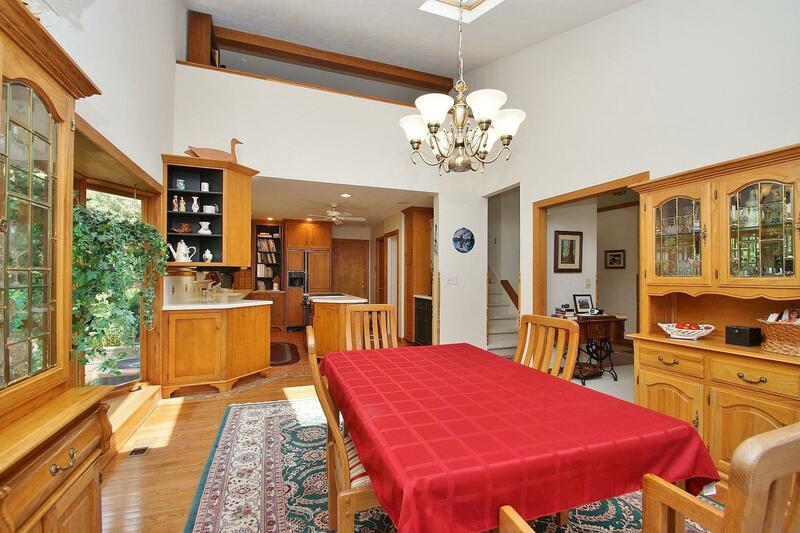 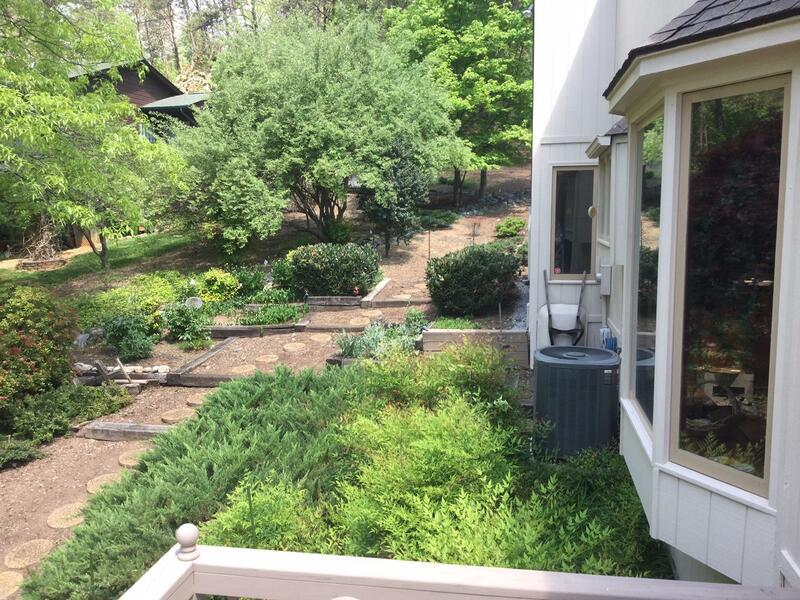 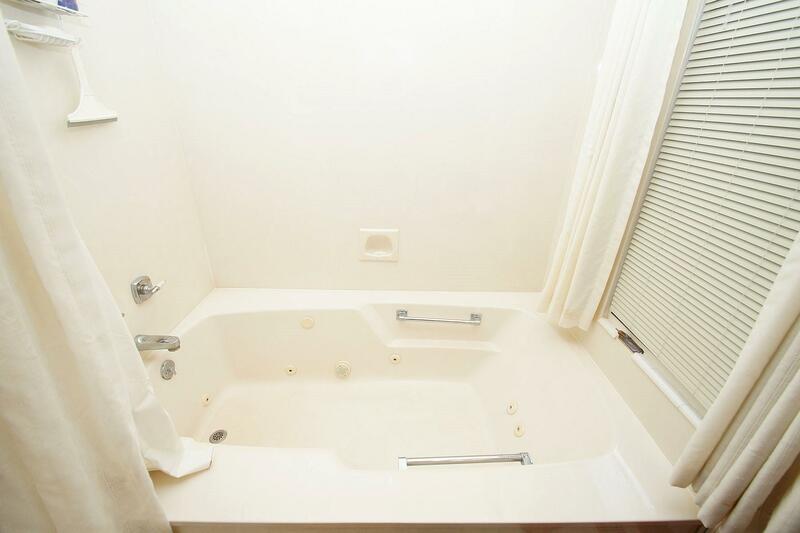 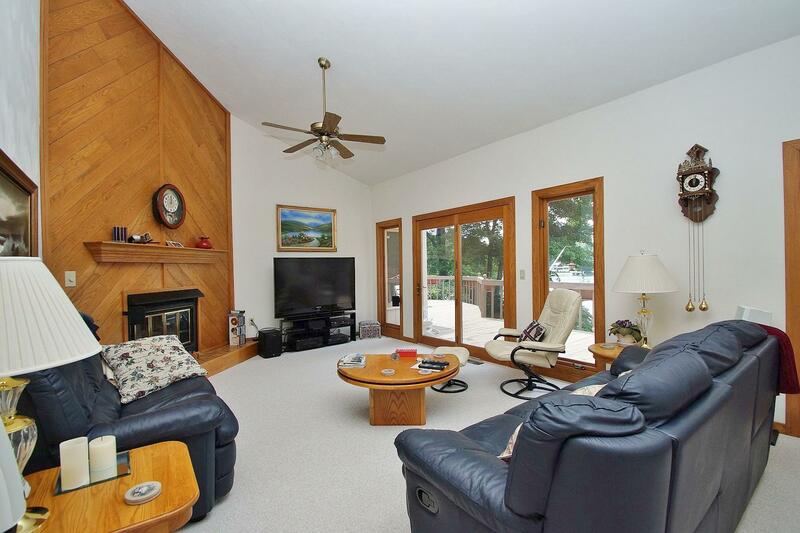 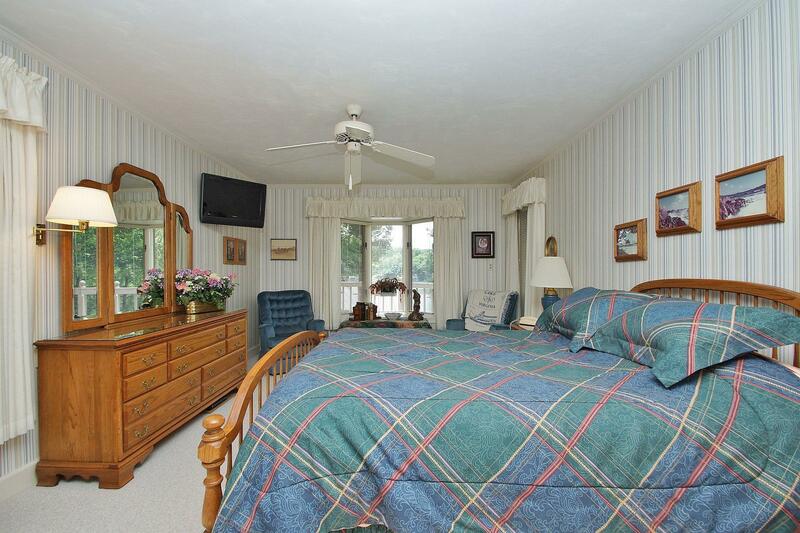 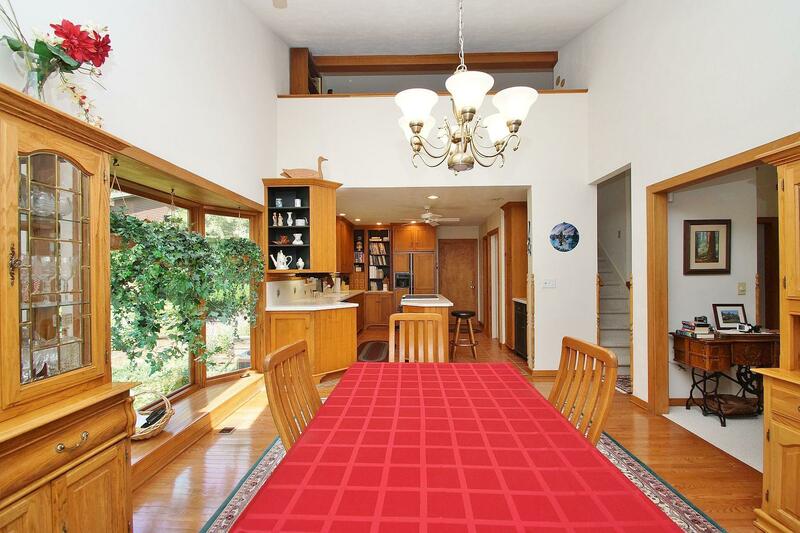 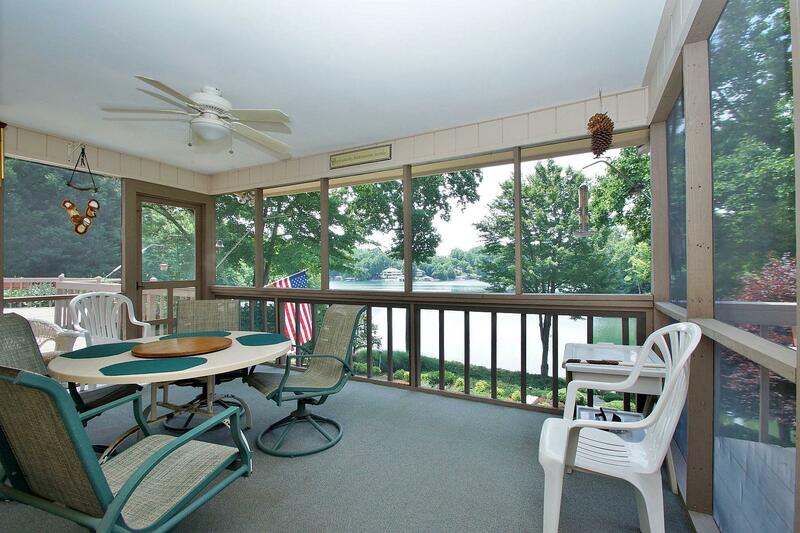 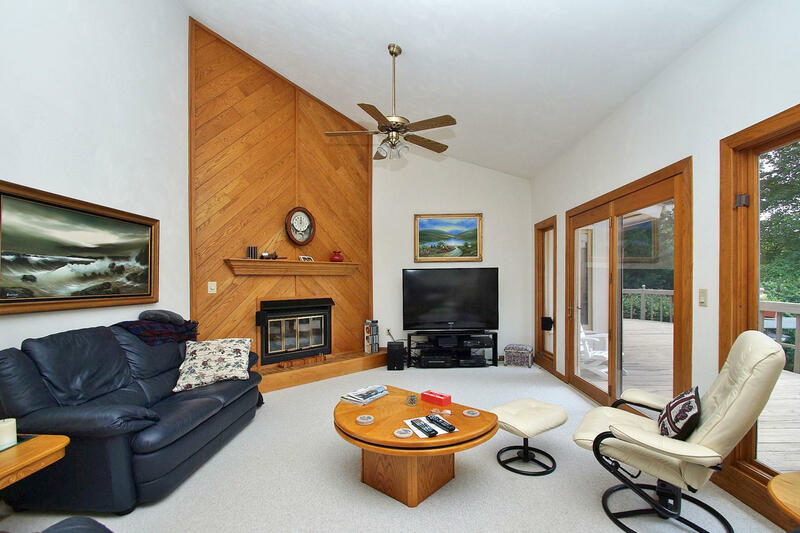 Entry level offers a warm and inviting space overlooking the lake, with an oversize master suite & full bath. 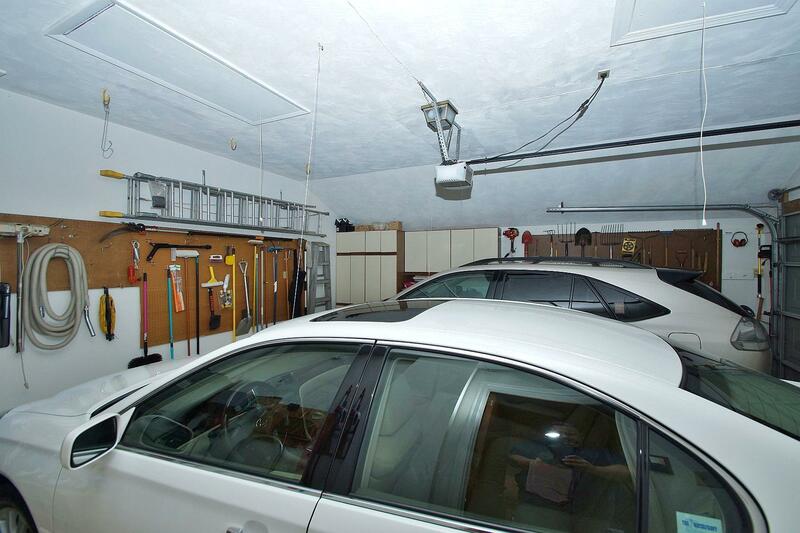 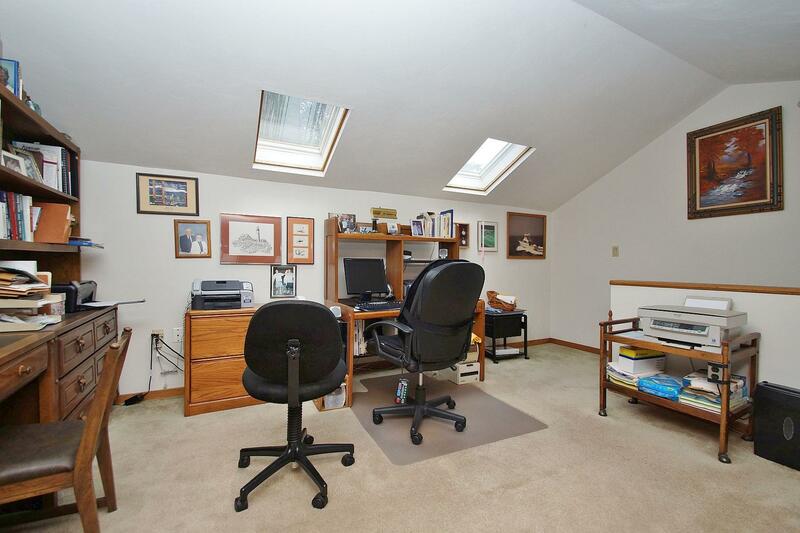 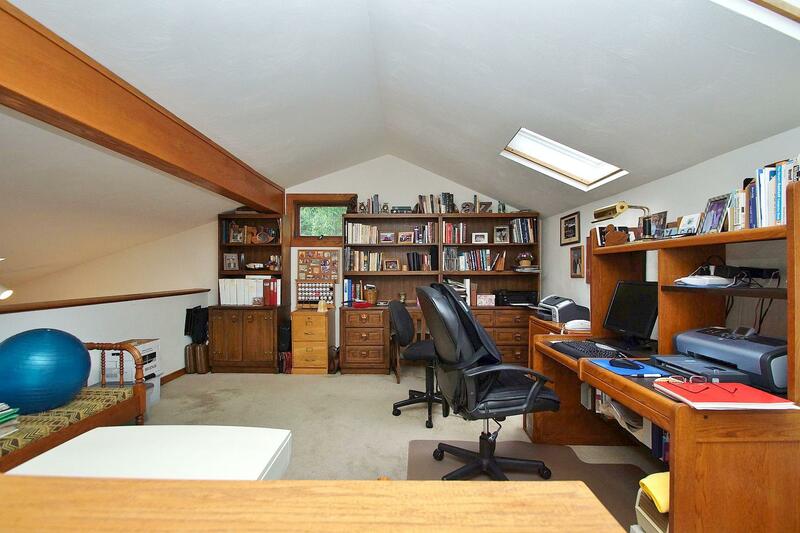 There is an upper loft that is currently being used as an office but would make a fantastic play room! 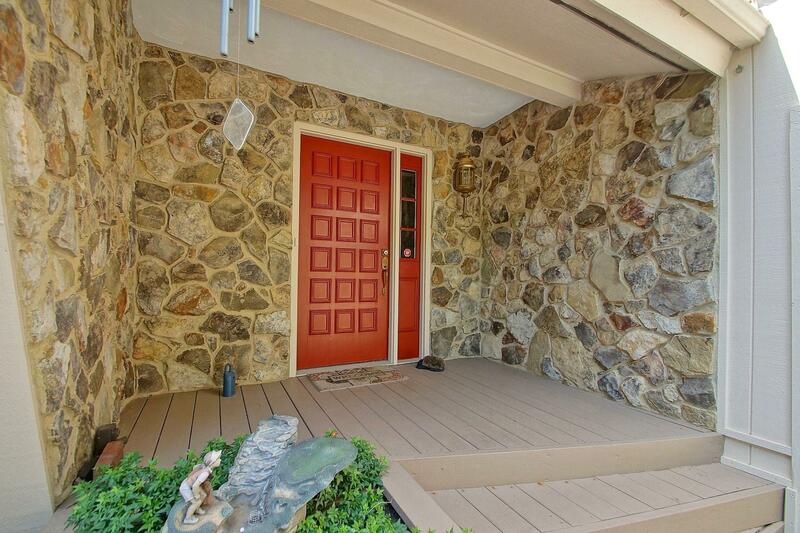 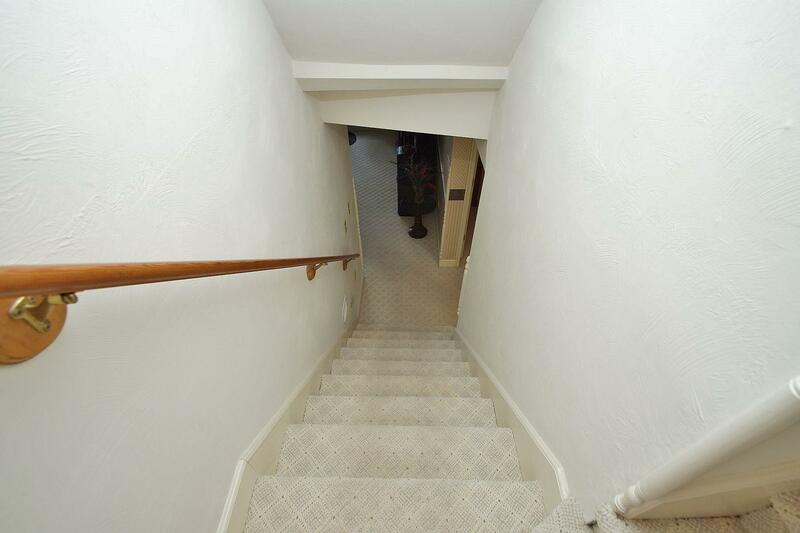 This well maintained home shows much newer then the original build date. 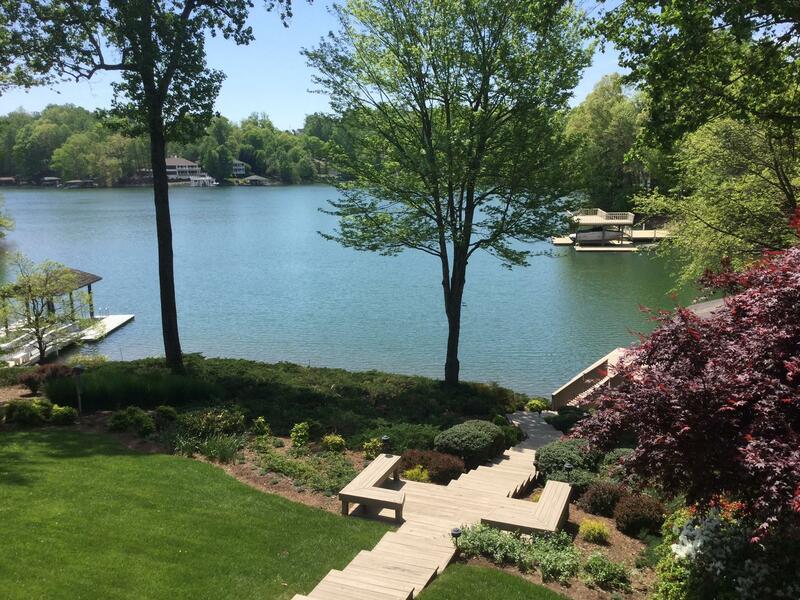 you must get inside to appreciate the updates and the setting. 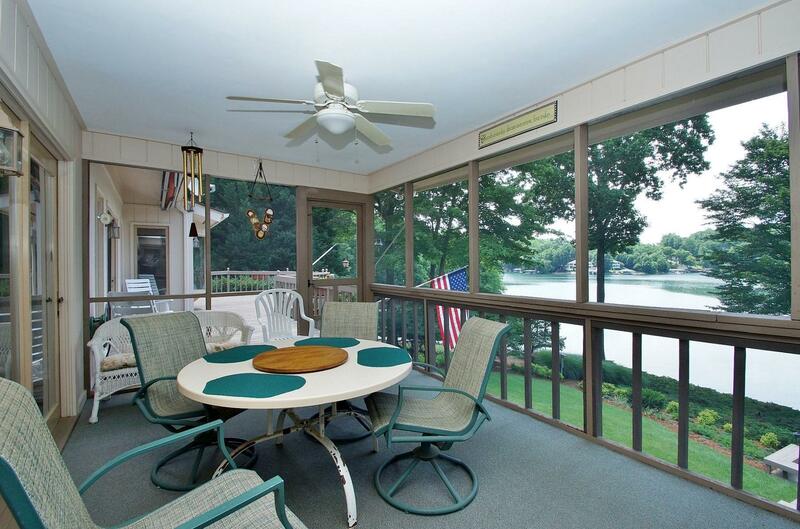 The exterior offers many venues to enjoy the lake starting with an oversize deck on the lakeside with a screen porch, on the lower level a nice patio The cool and heated unfinished workshop and storage area offers plenty of room for the hobbyist with a little work could be finished and make a great 4th bedroom. 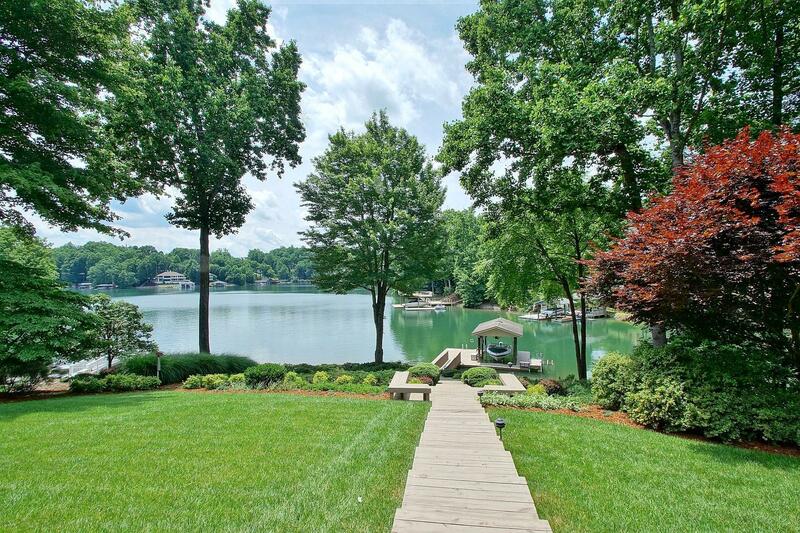 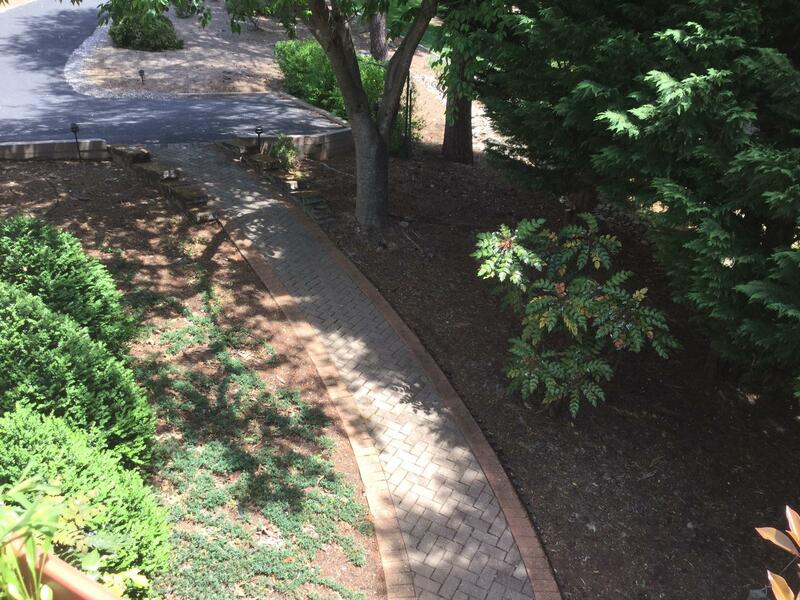 The professional landscaping has kept lake views in mind and also privacy both from the road side and the lake. 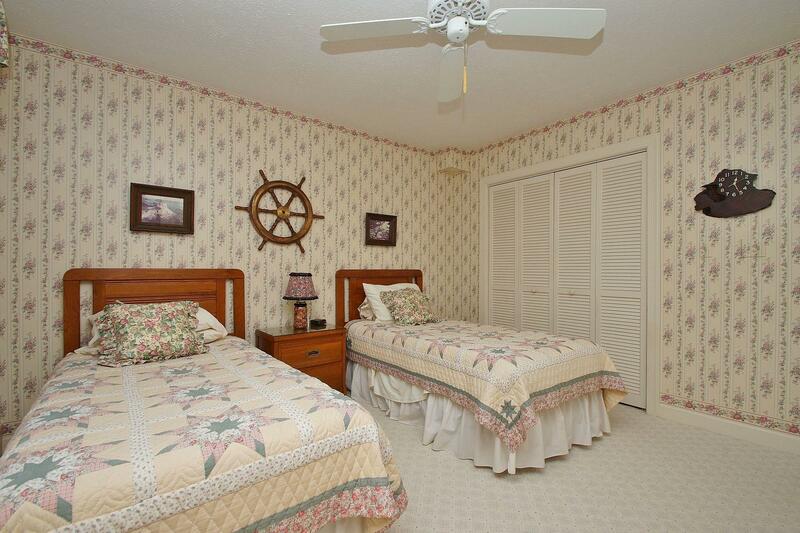 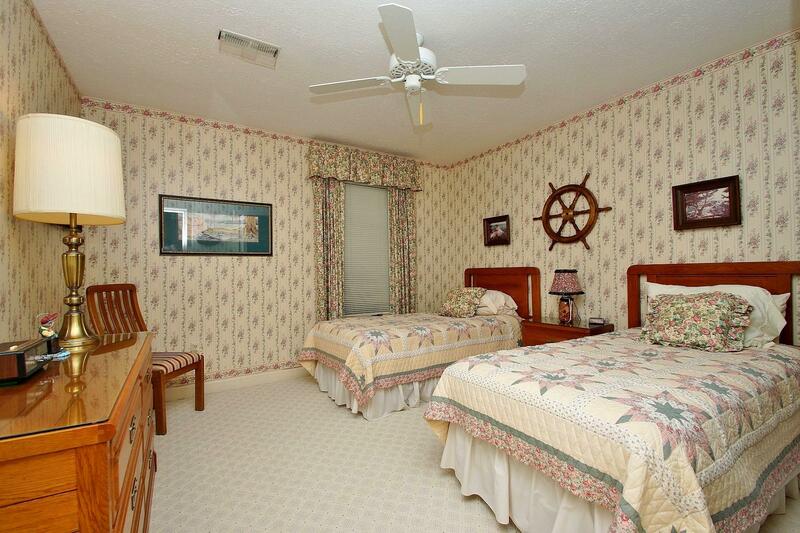 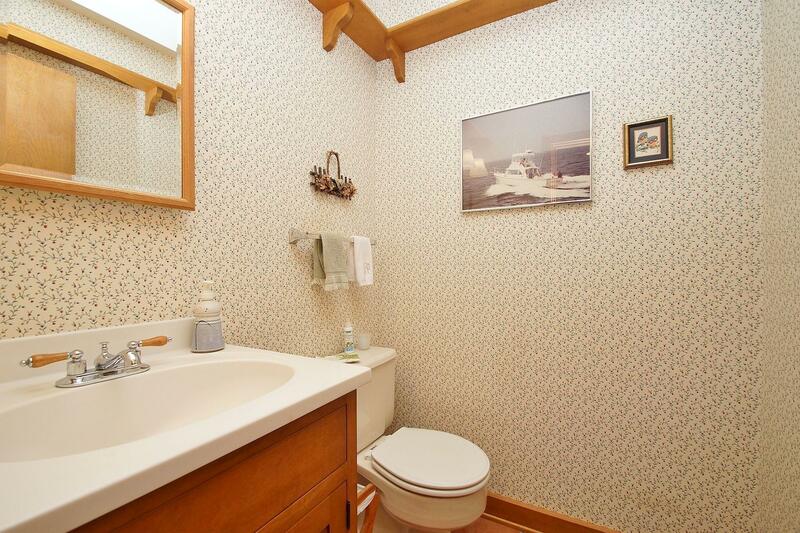 Furnishings and boat are available for purchase however are not included in the list price. 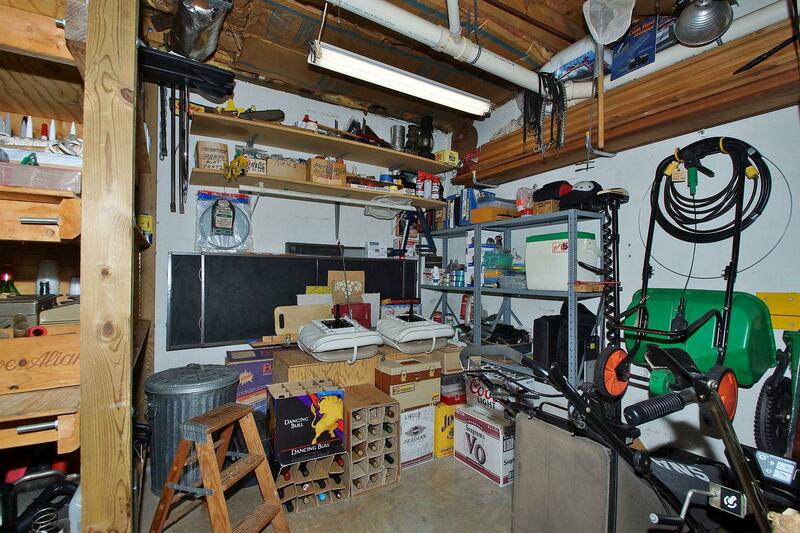 All information believed to be true however buyer should verify. 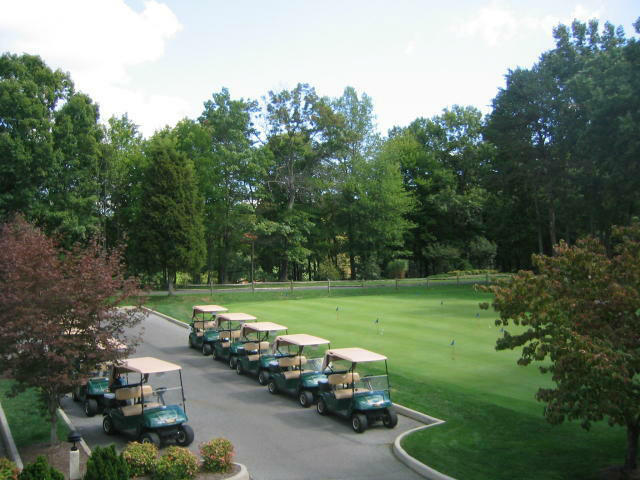 Membership to The Waterfront Country Club is available and with membership the following amenities are available:golf, tennis, pickle ball, pool, fine dining at the clubhouse, fitness room and many social activities.